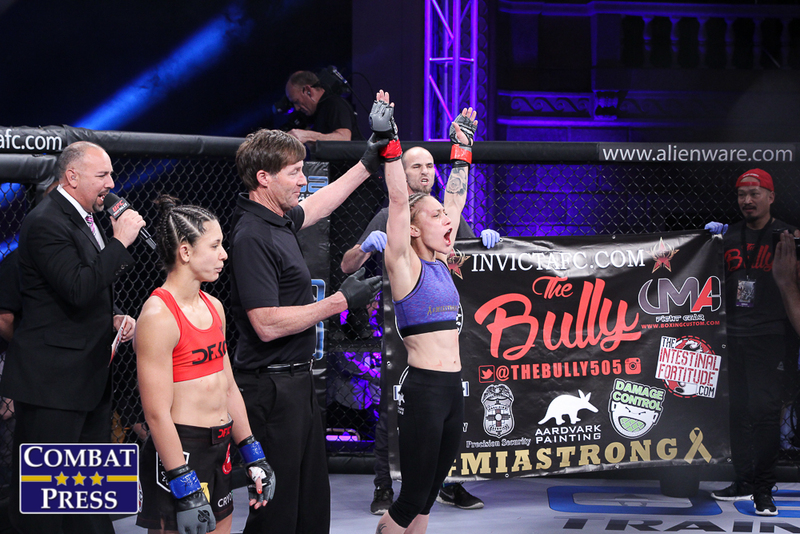 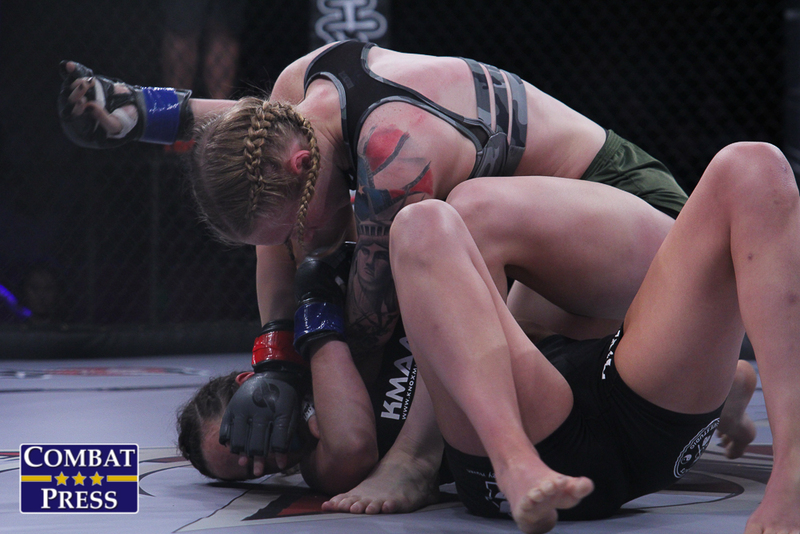 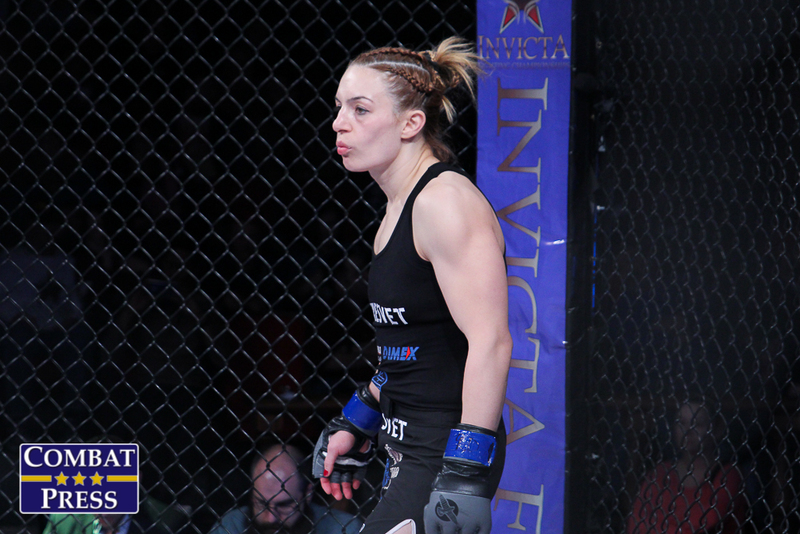 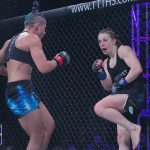 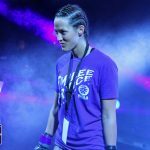 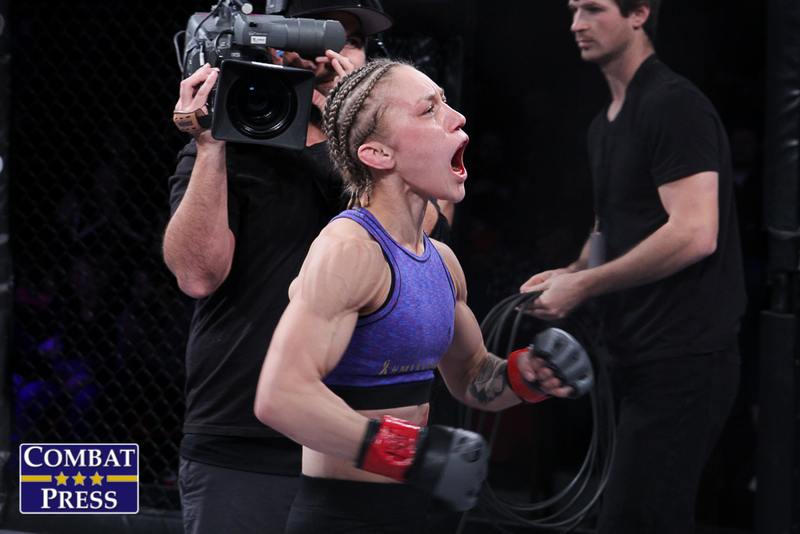 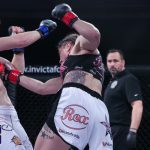 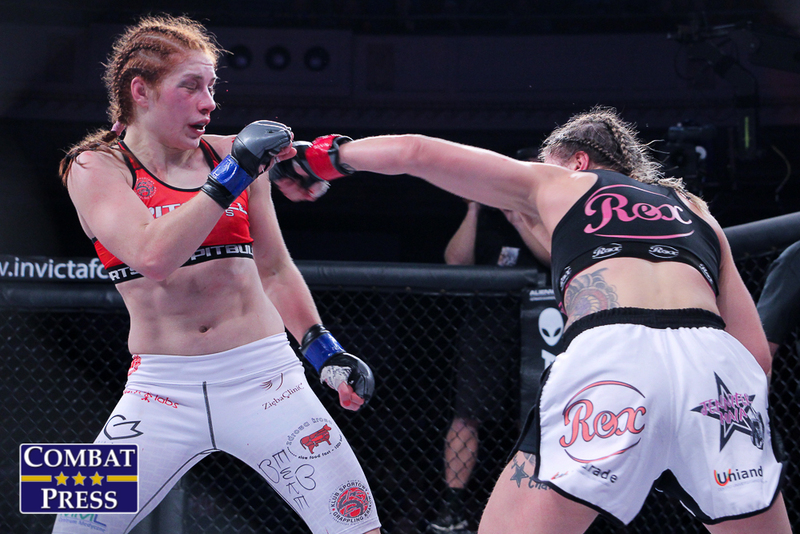 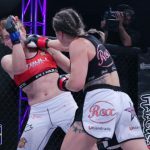 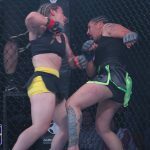 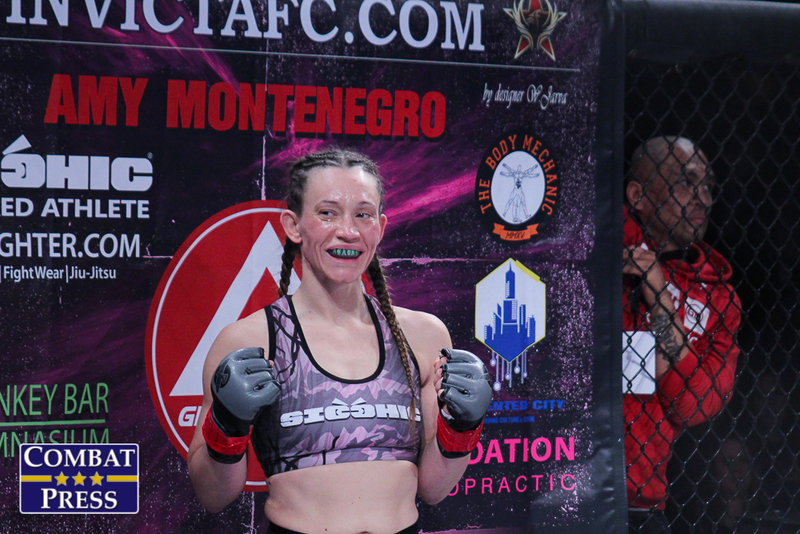 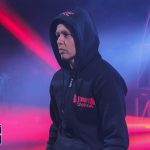 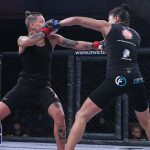 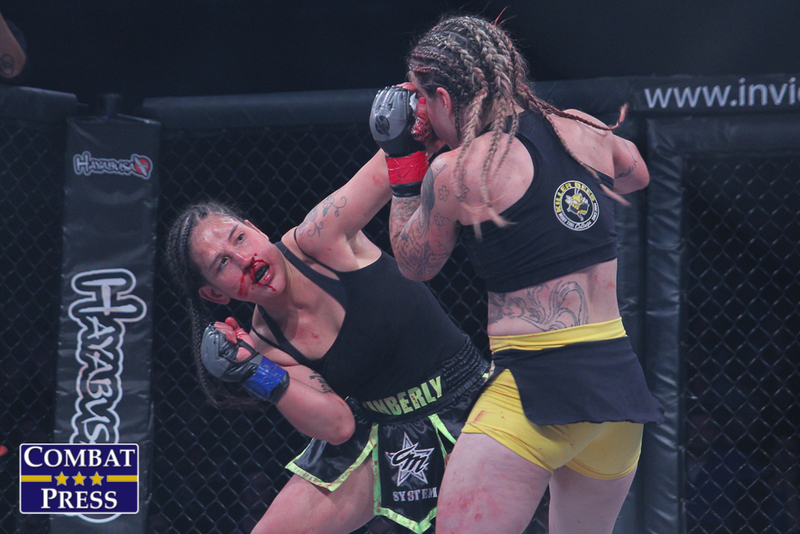 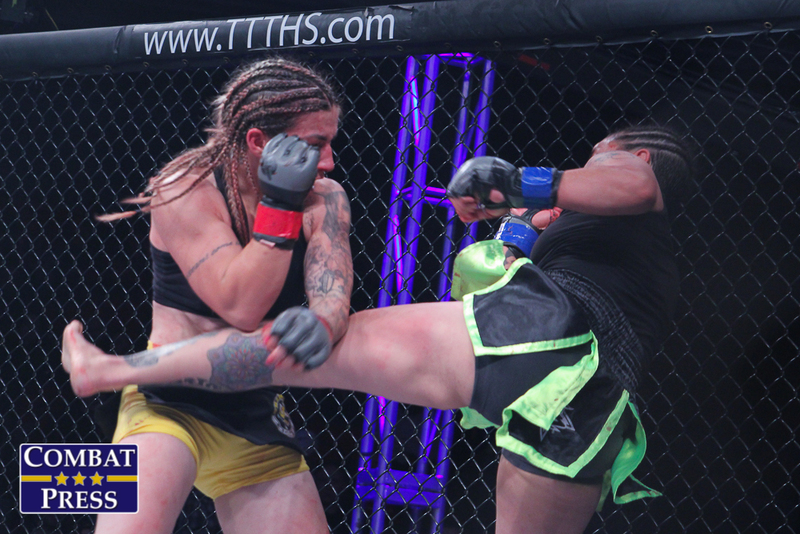 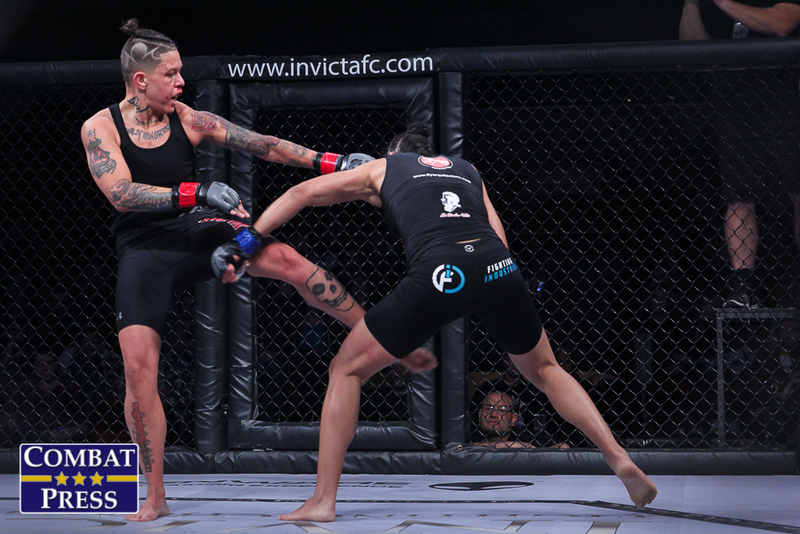 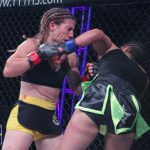 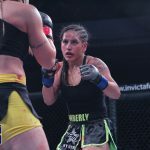 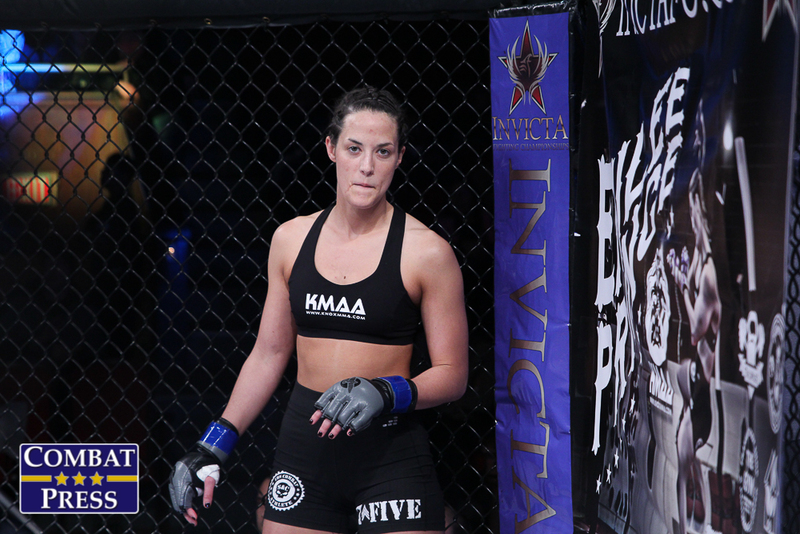 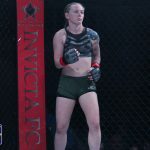 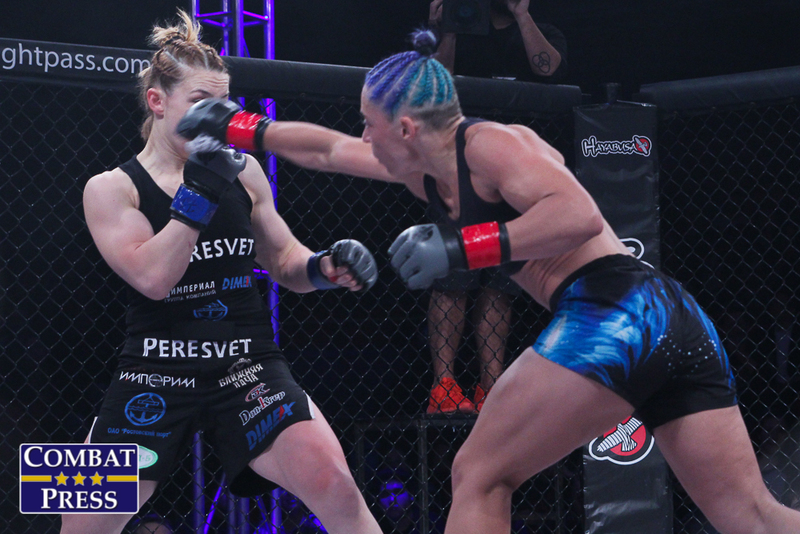 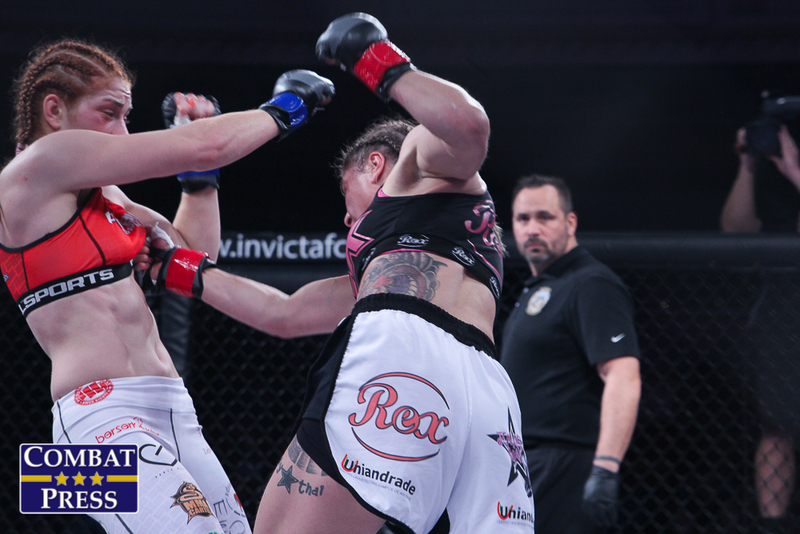 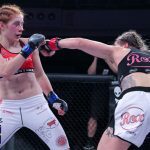 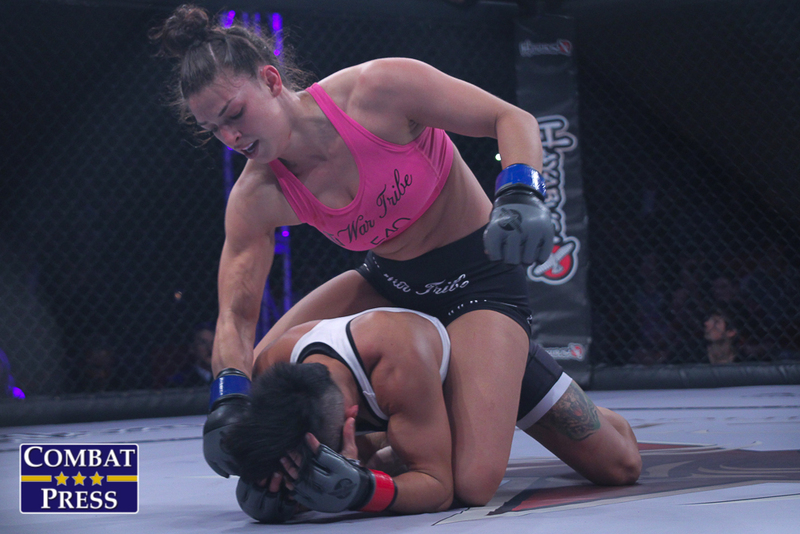 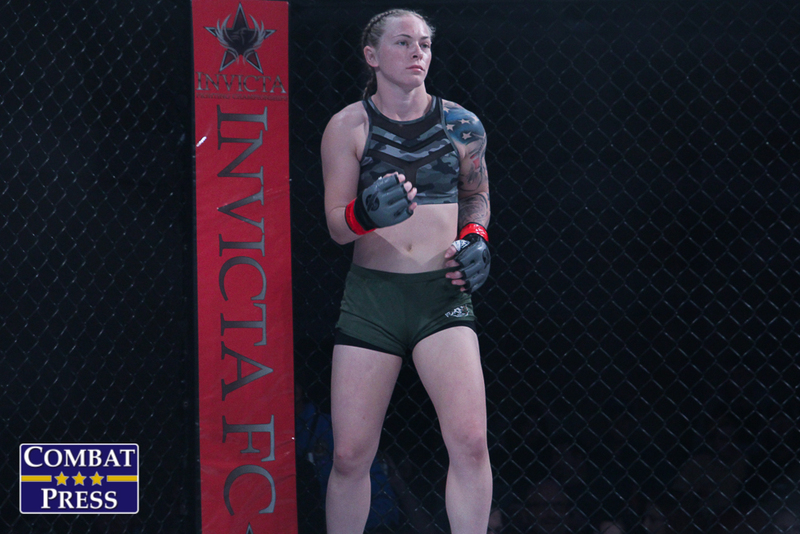 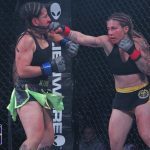 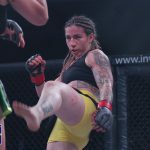 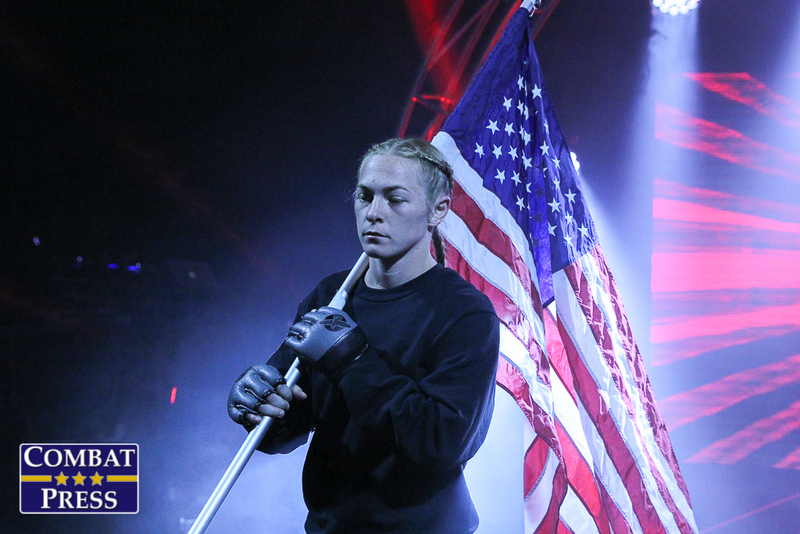 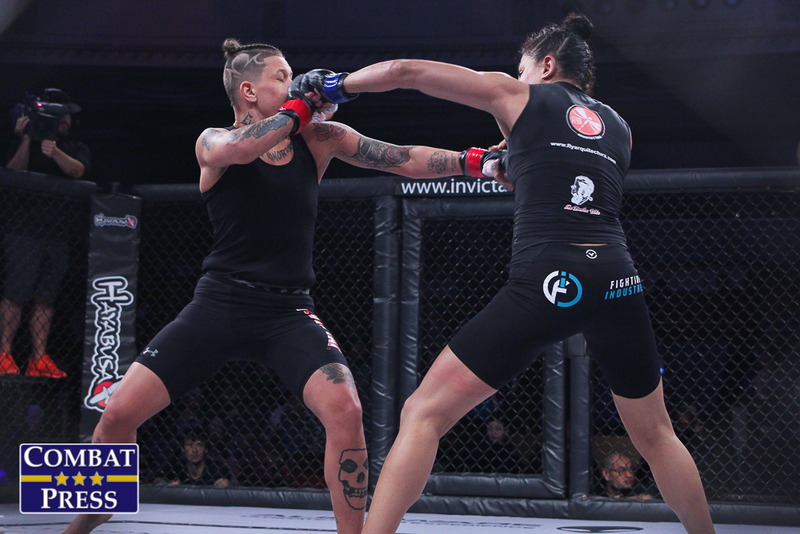 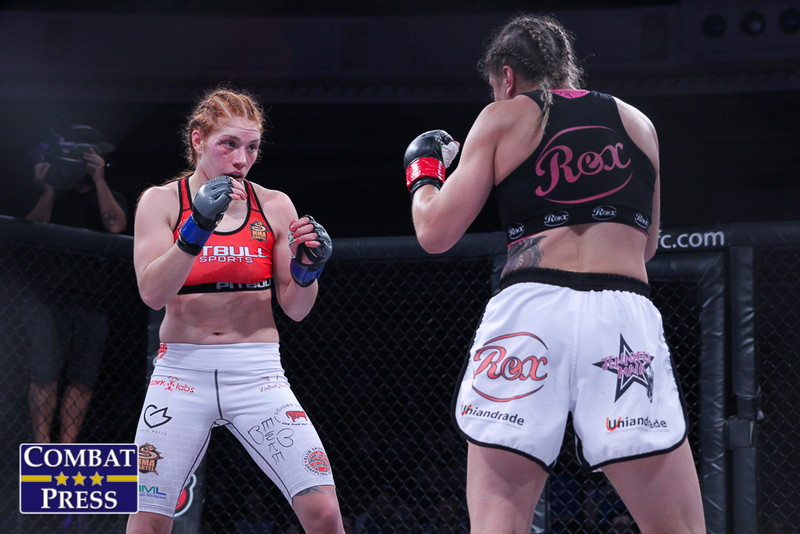 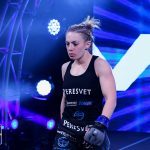 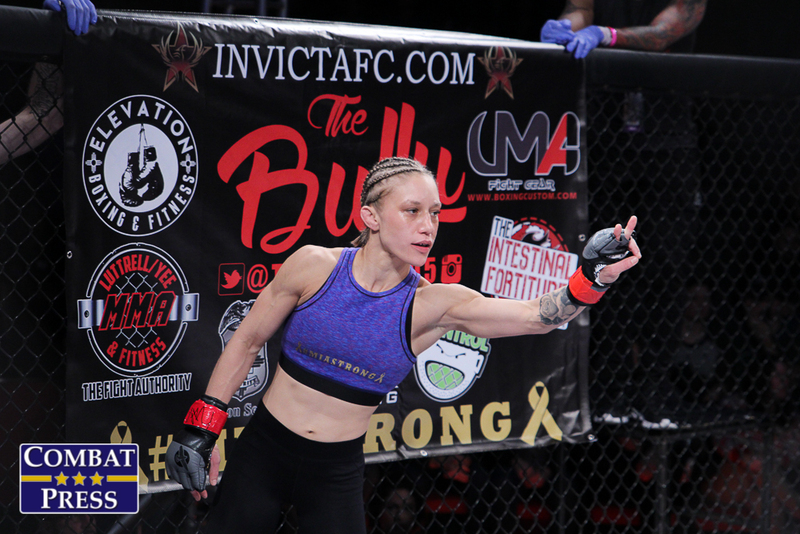 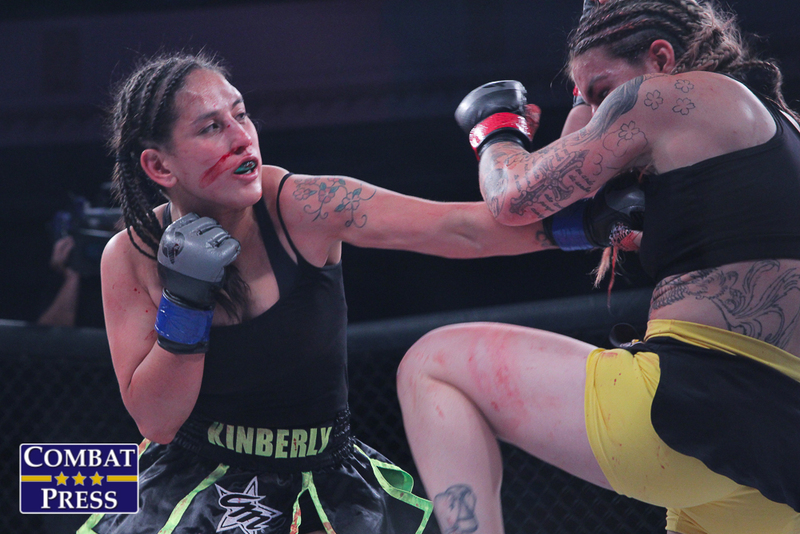 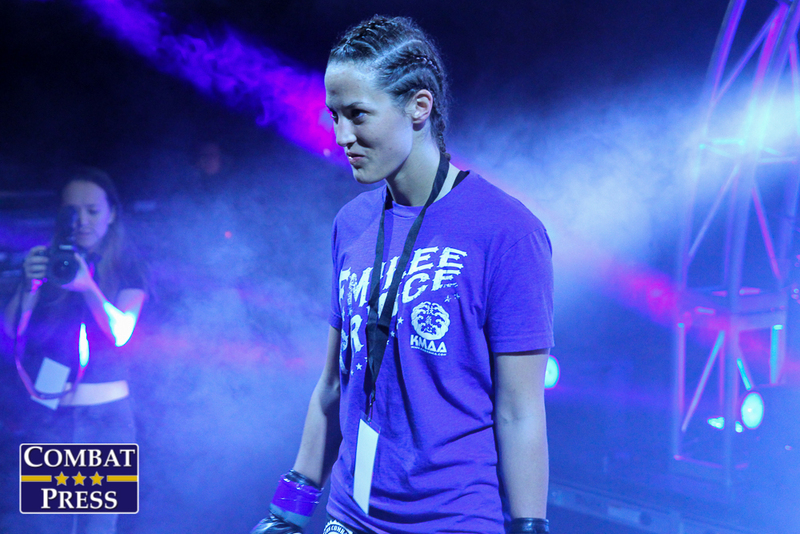 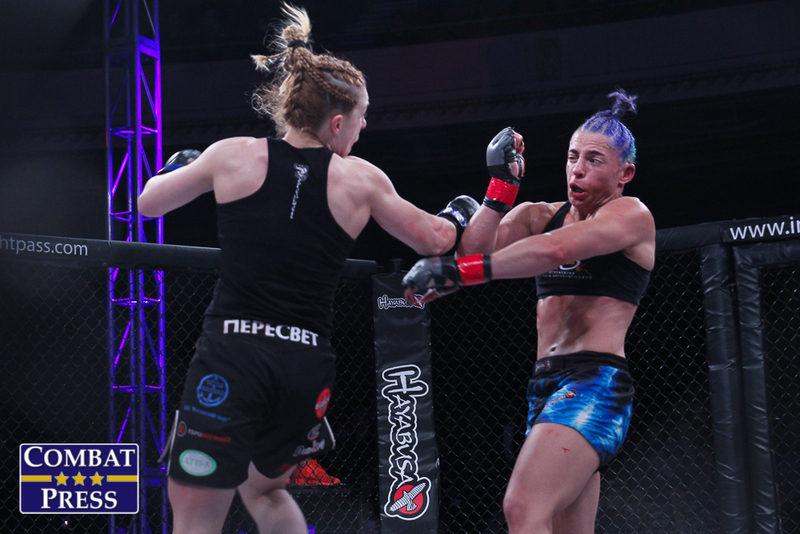 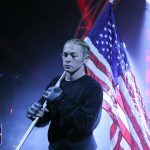 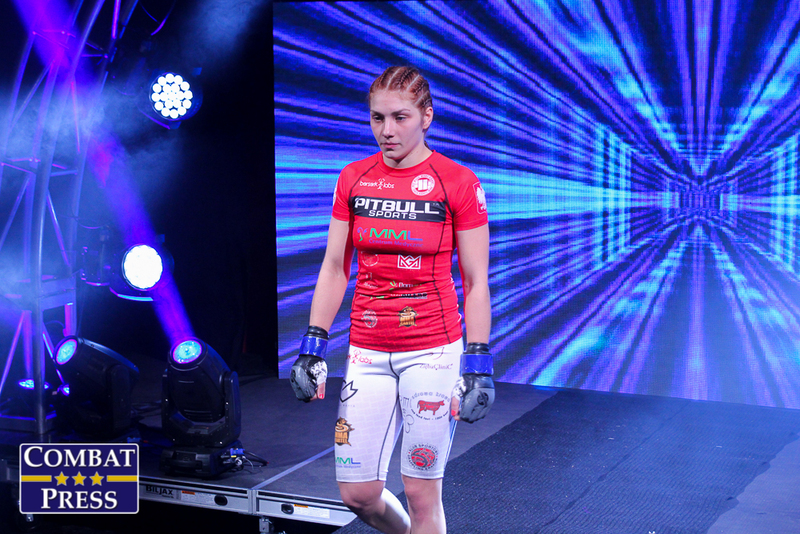 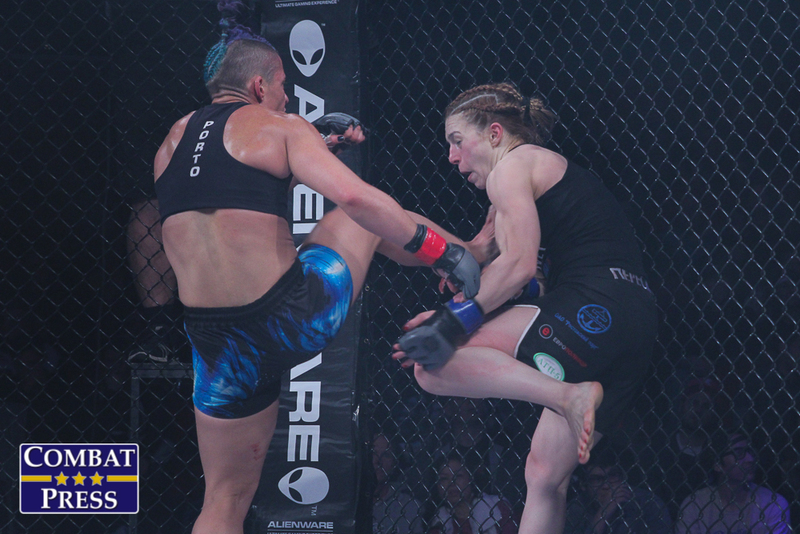 On Friday, Dec. 8, Invicta Fighting Championships hosted Invicta FC 26: Maia vs. Niedźwiedź from the Scottish Rite Temple in Kansas City, Mo. 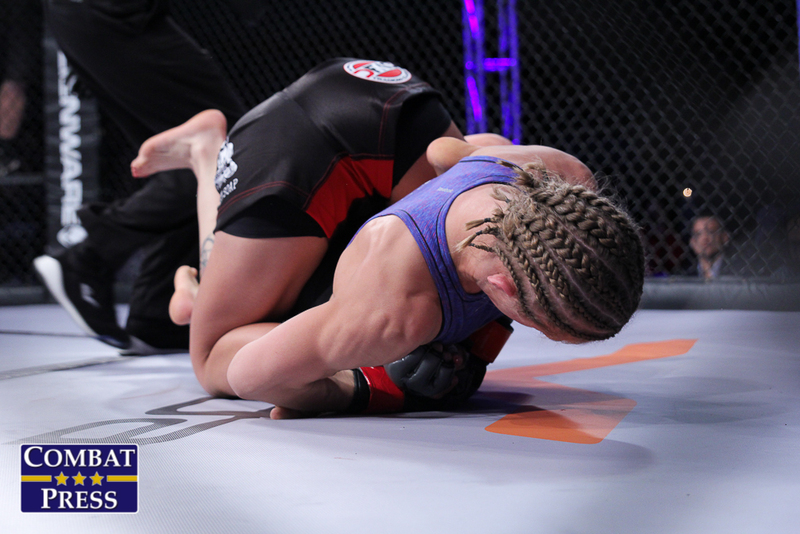 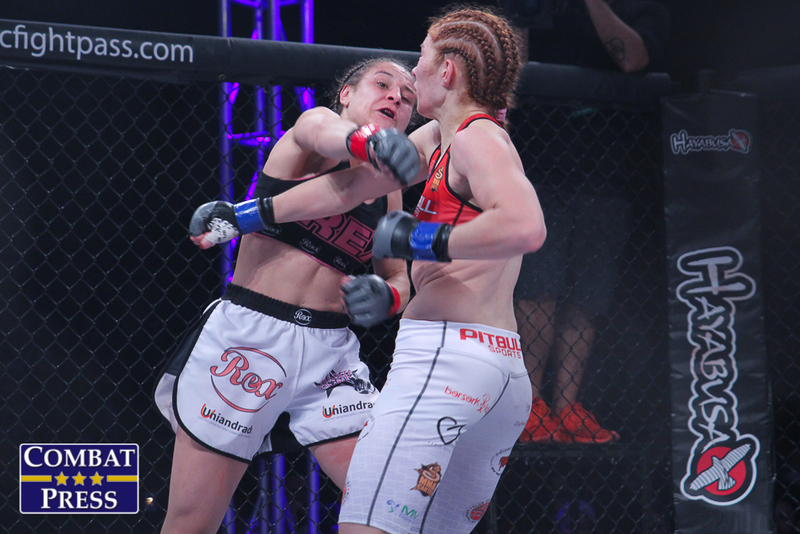 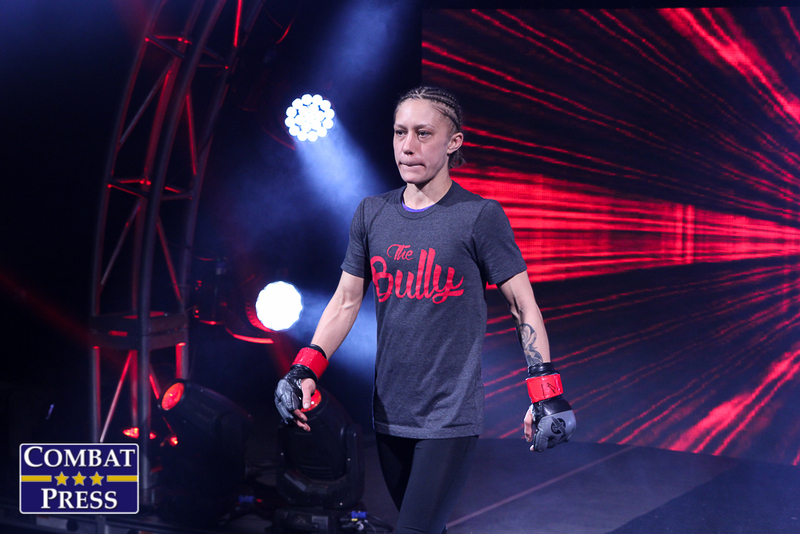 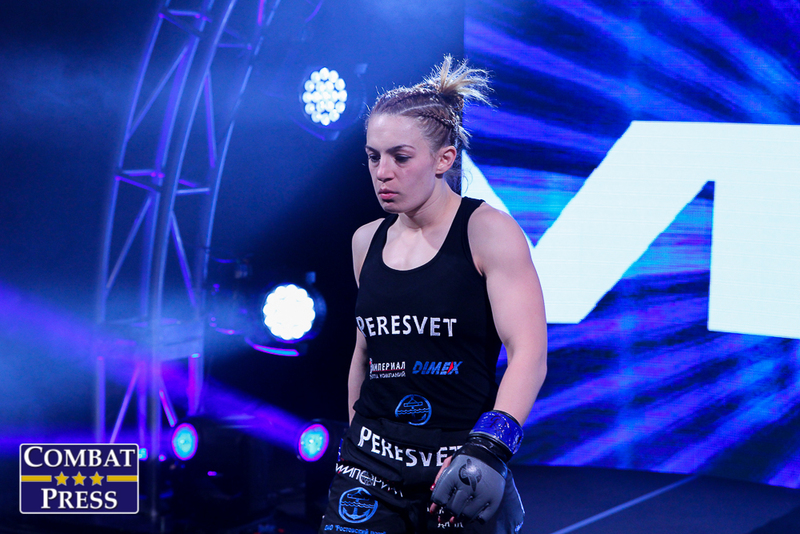 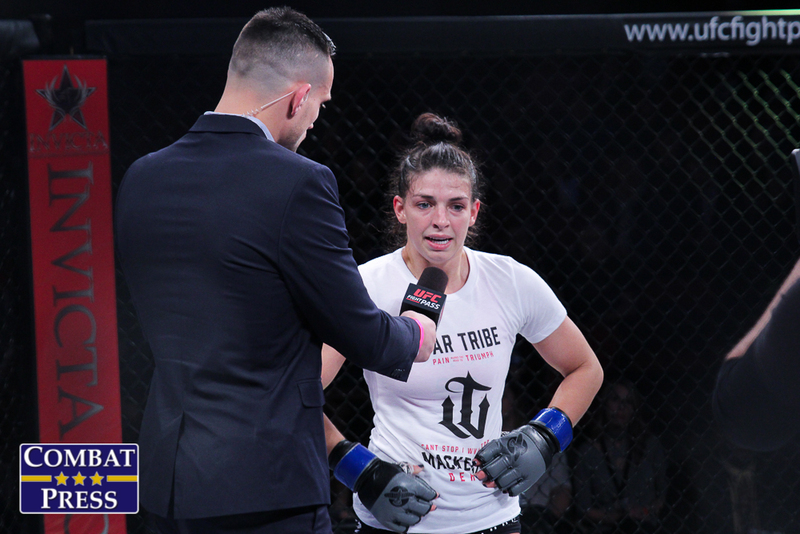 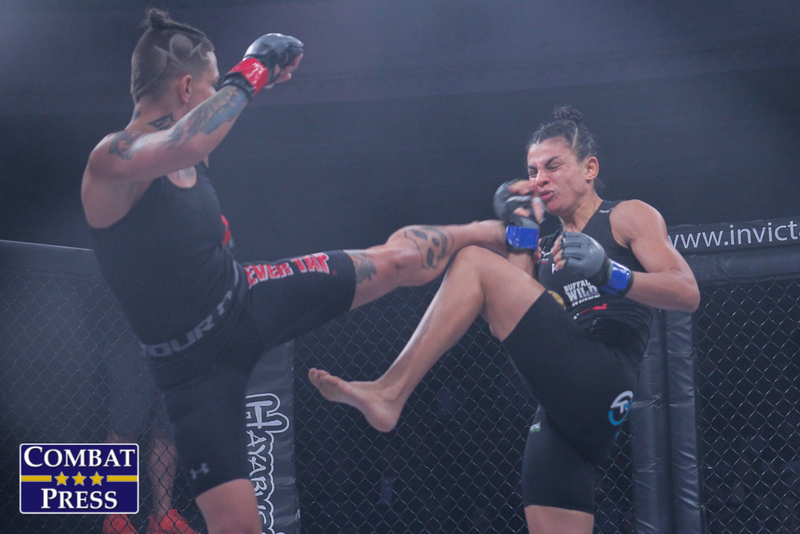 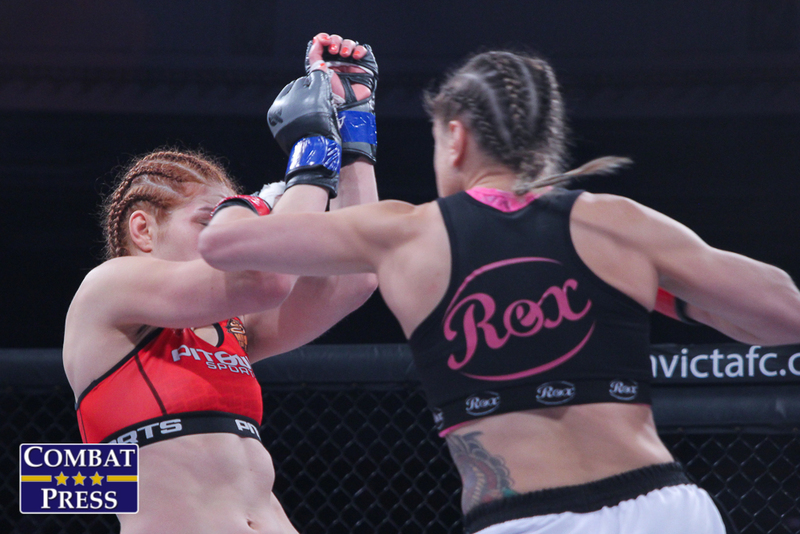 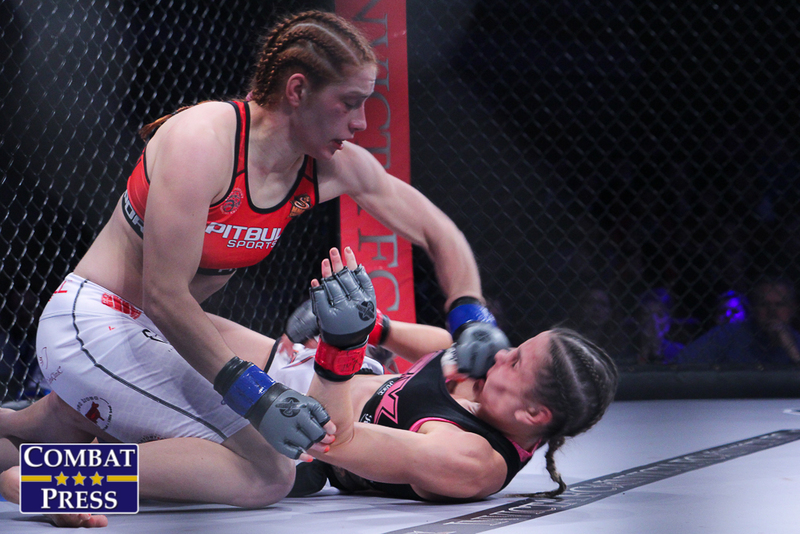 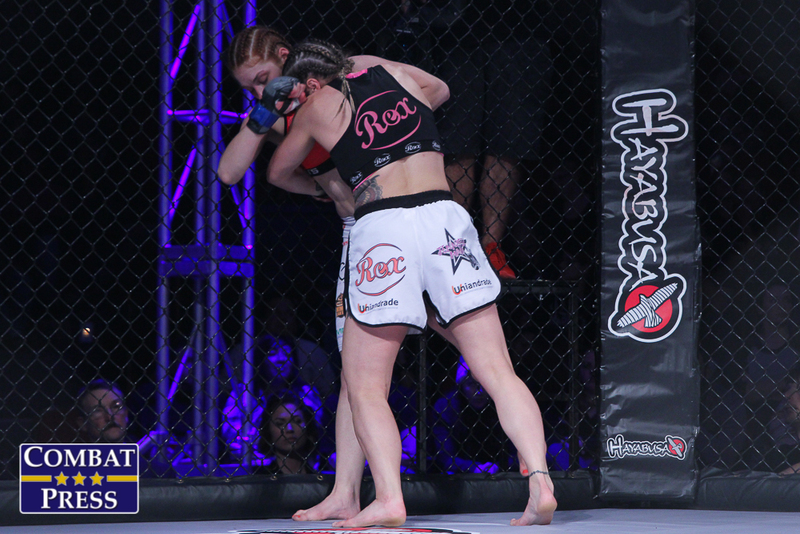 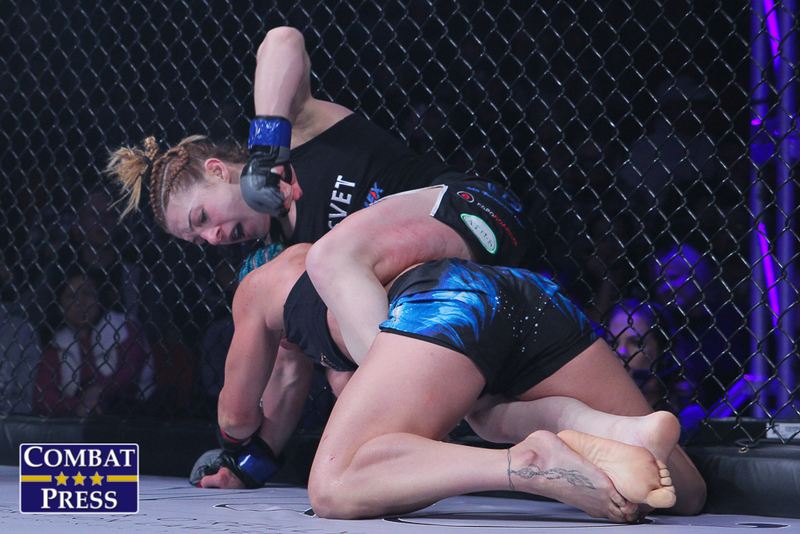 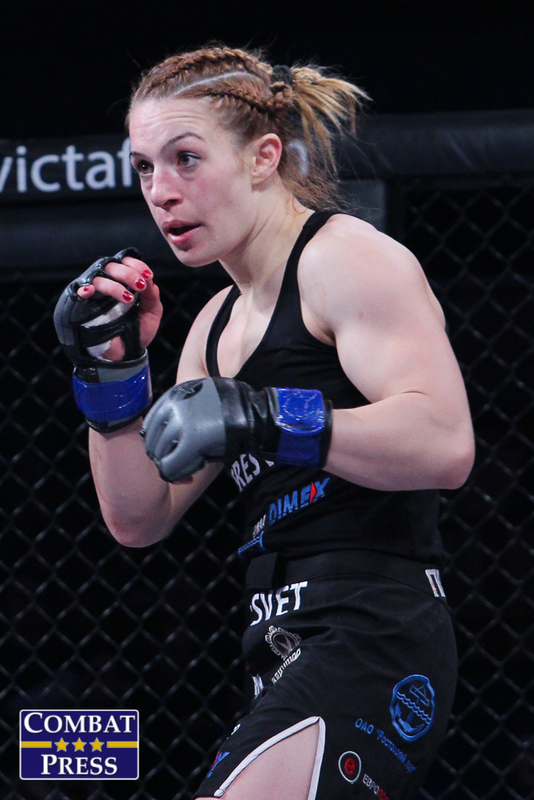 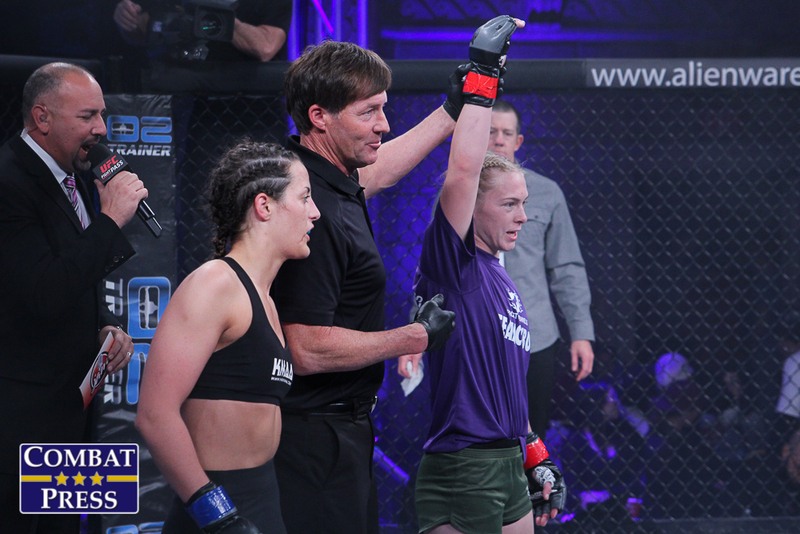 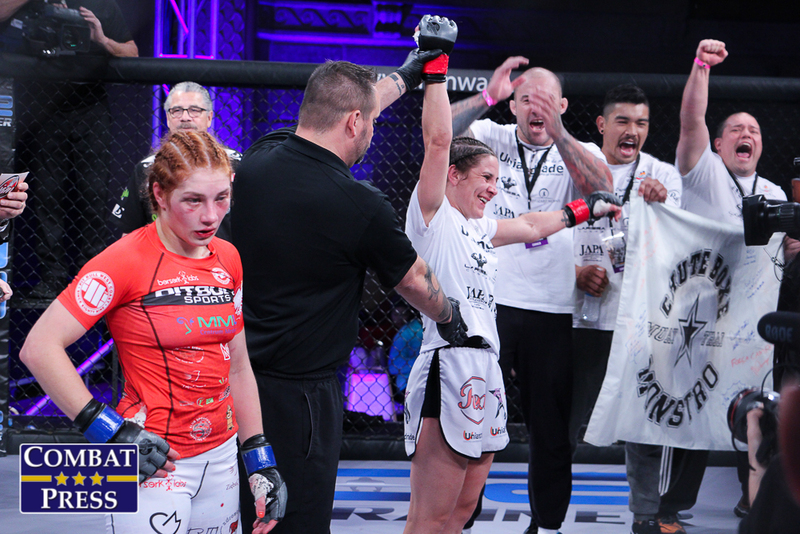 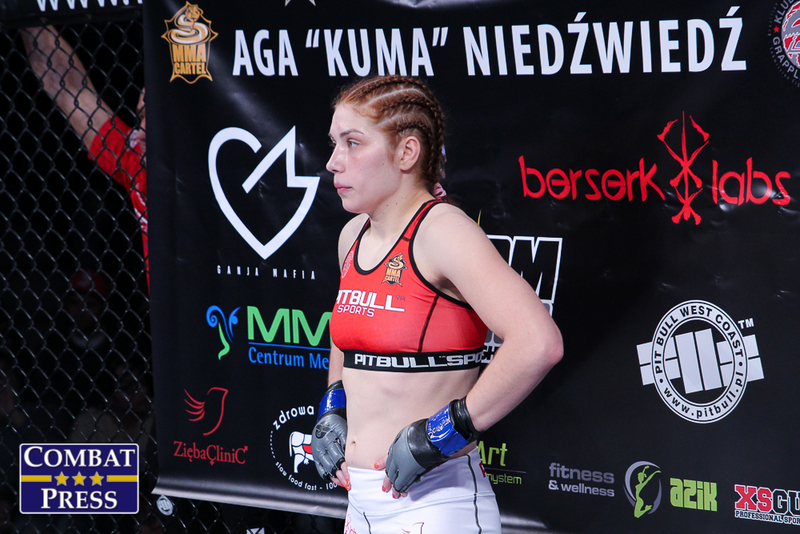 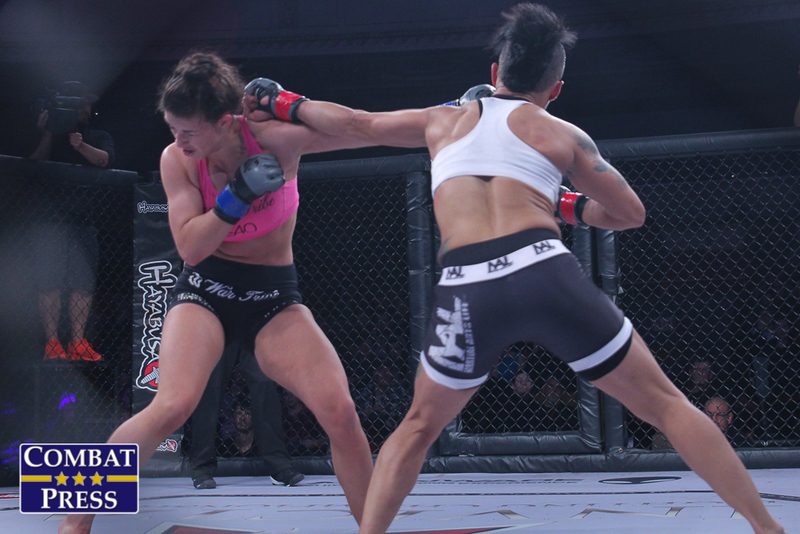 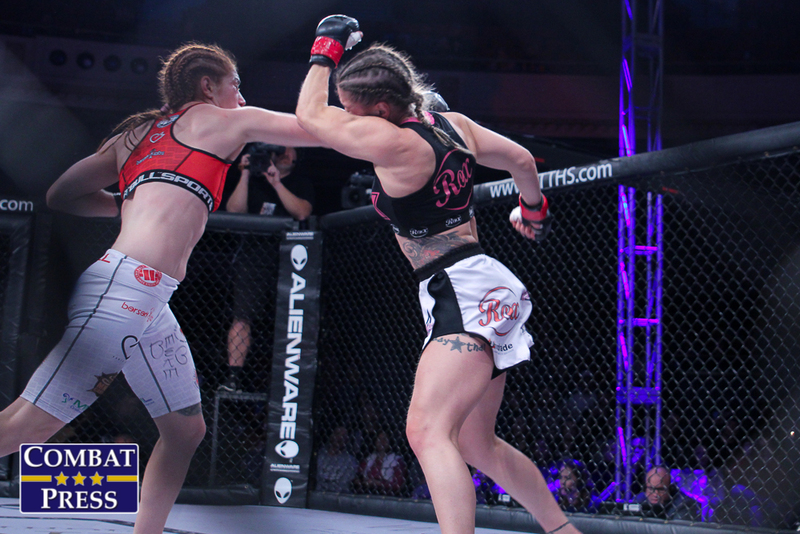 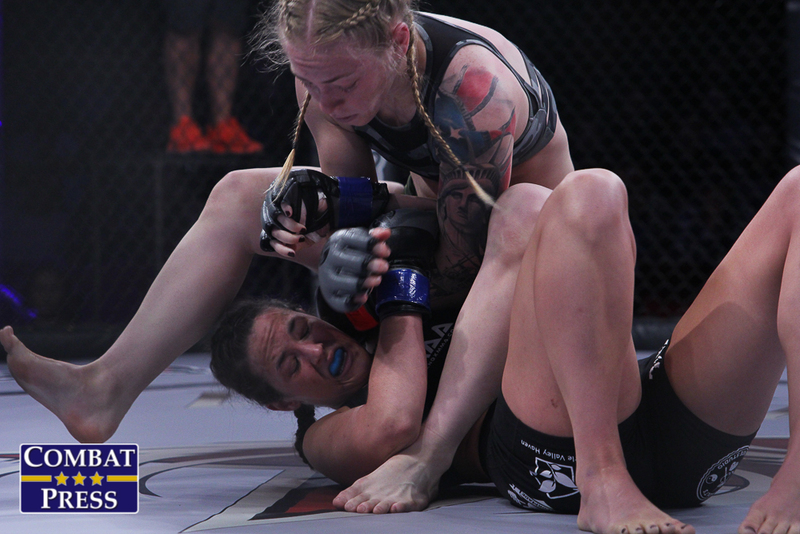 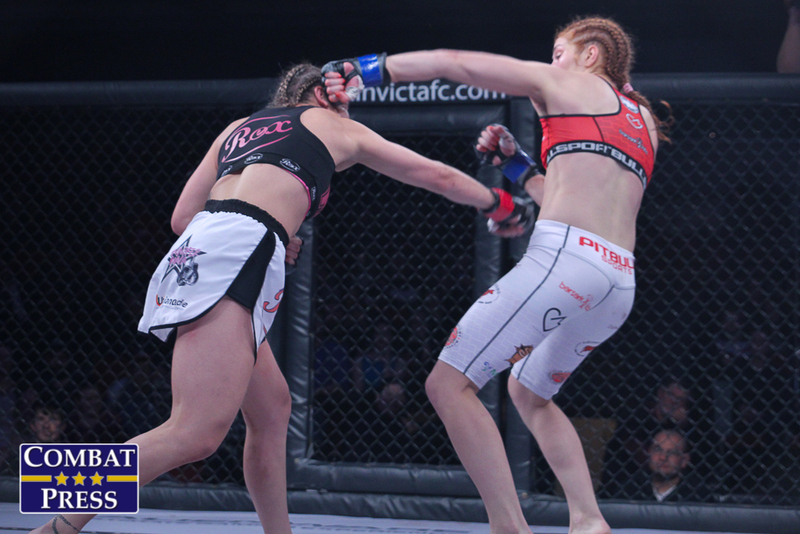 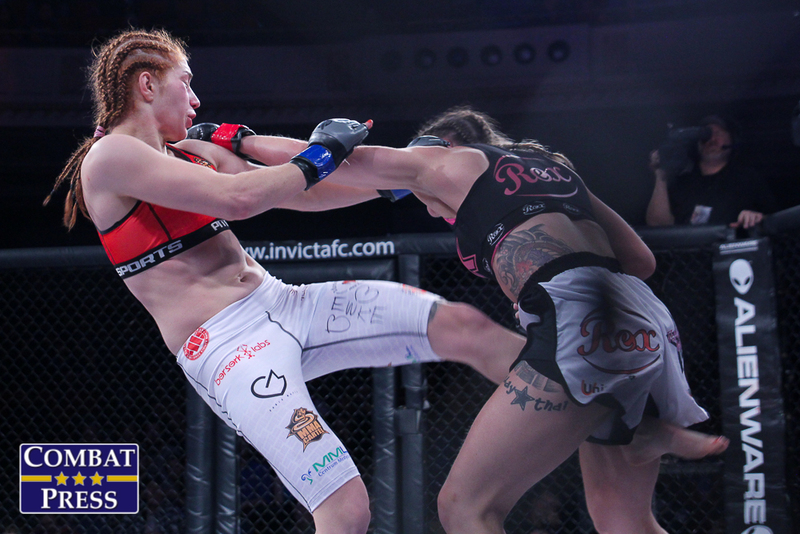 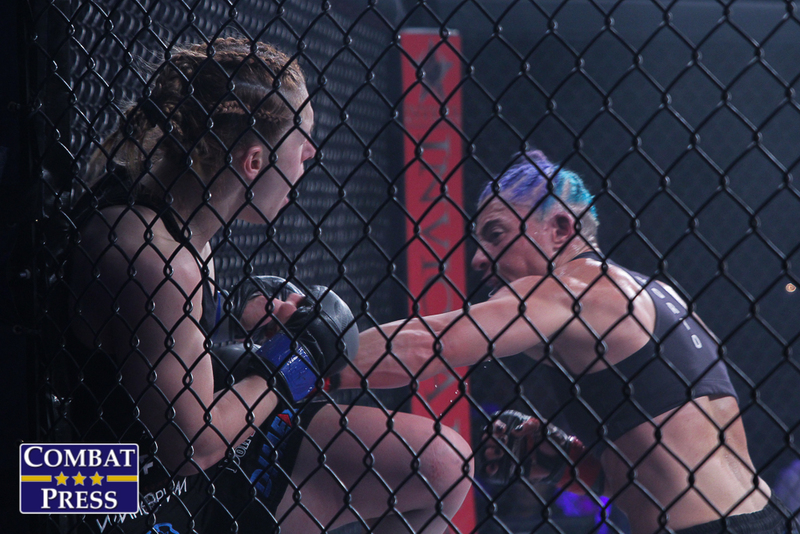 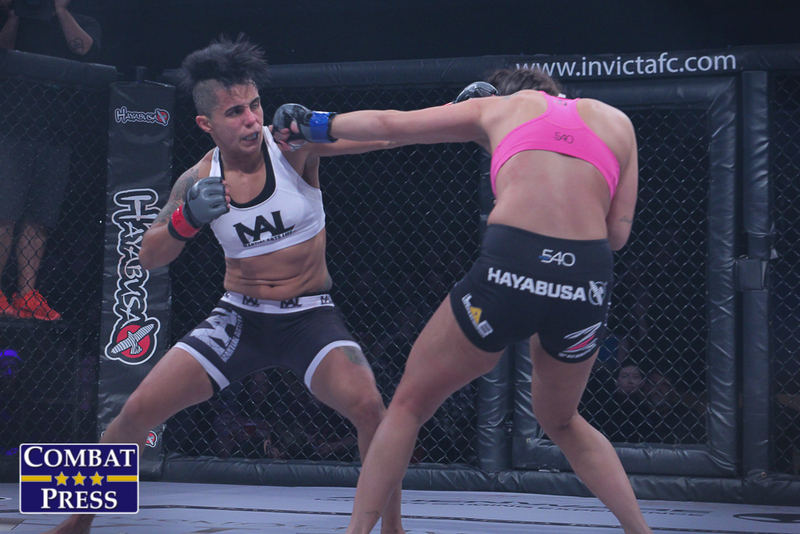 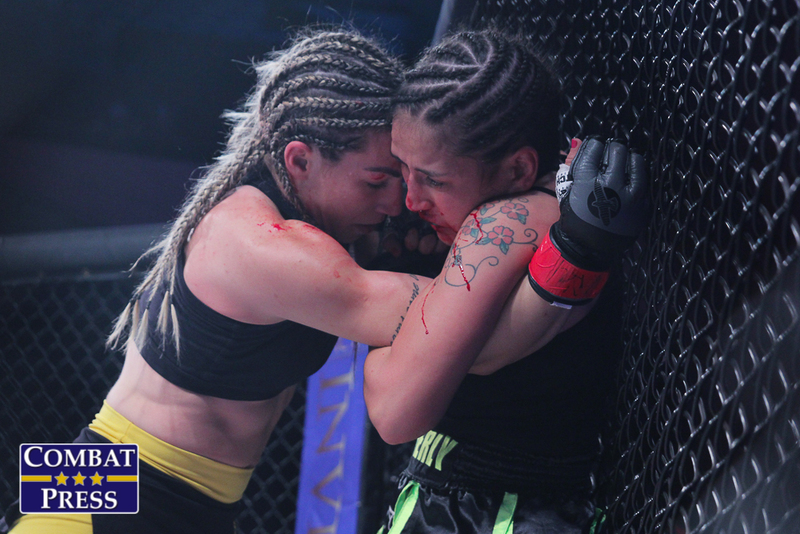 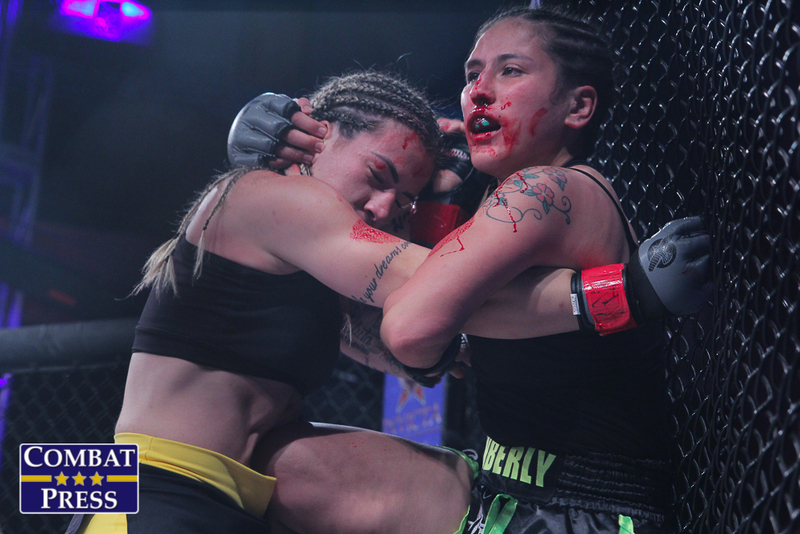 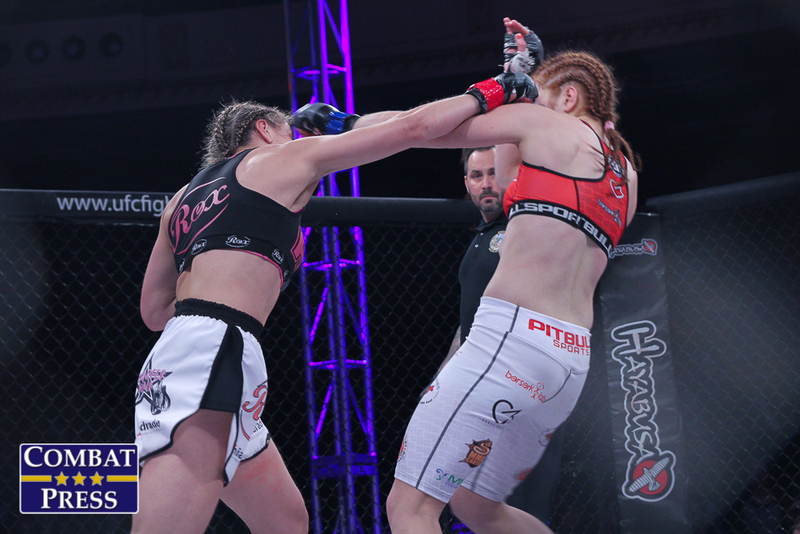 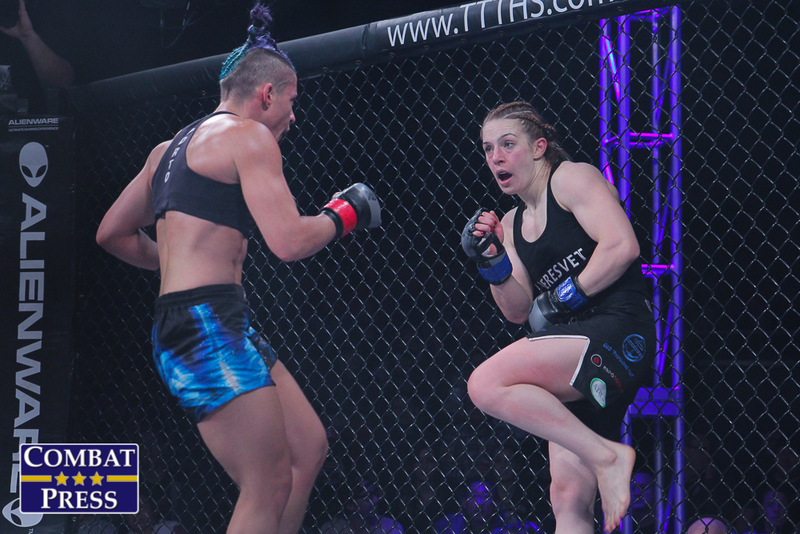 In the night’s main event, flyweight champion Jennifer Maia took on undefeated Polish fighter Aga Niedźwiedź. 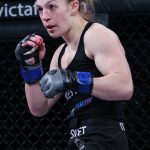 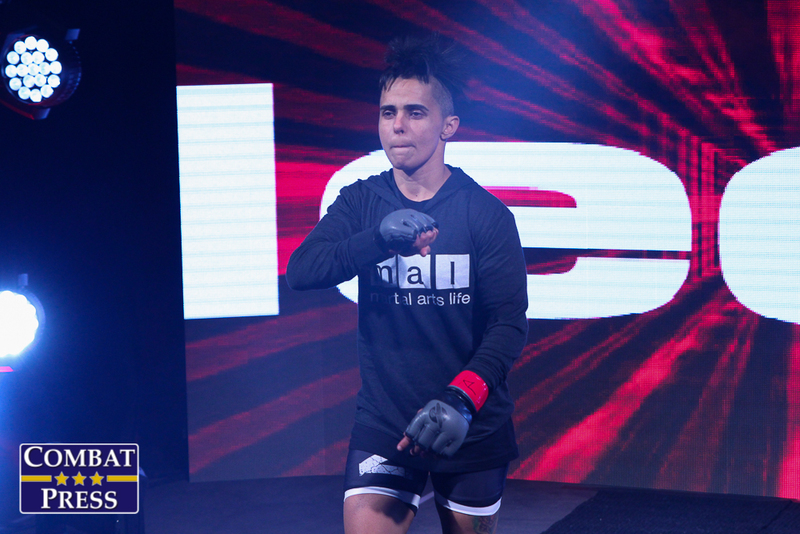 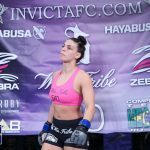 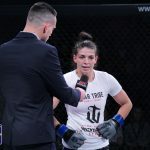 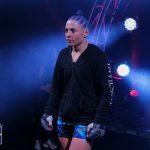 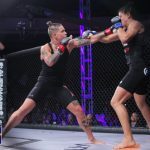 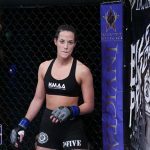 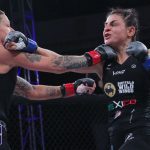 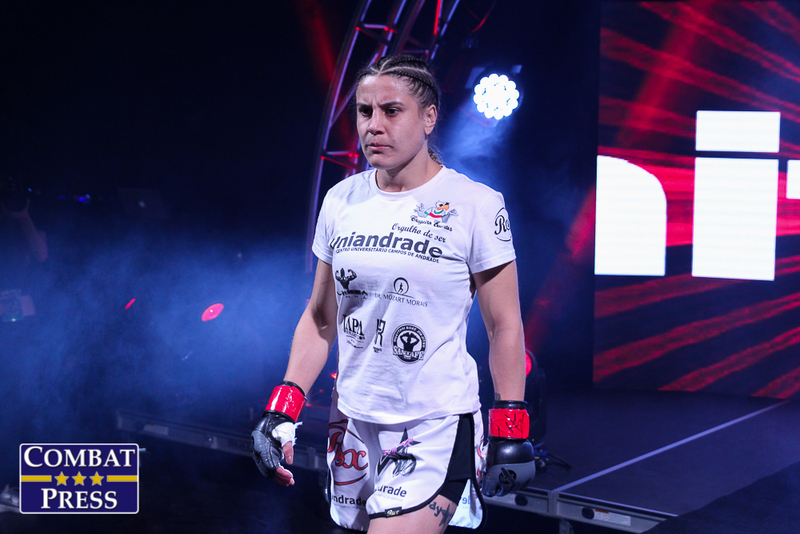 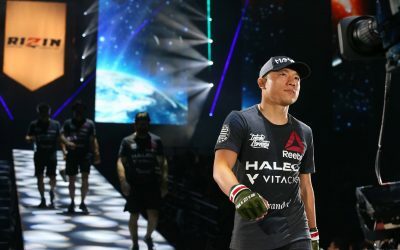 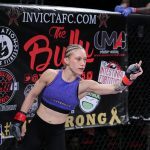 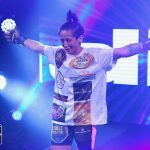 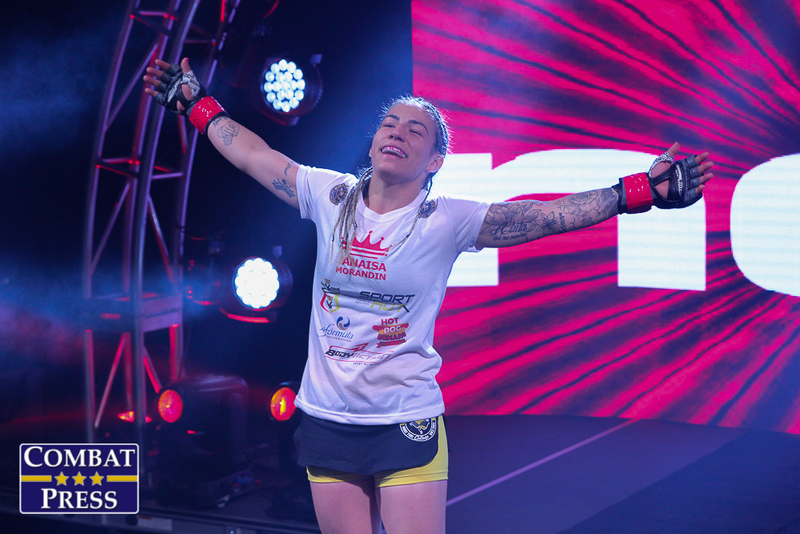 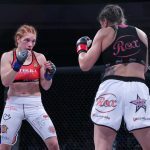 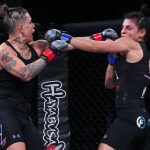 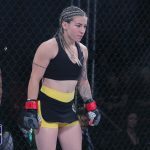 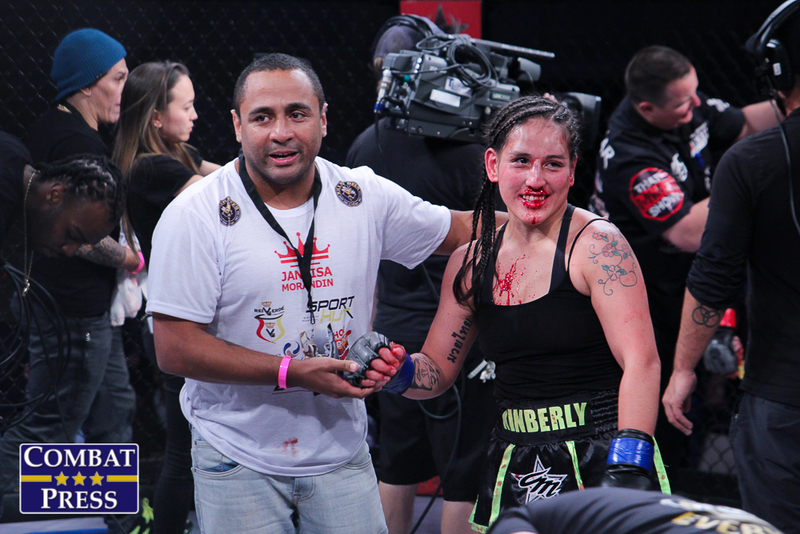 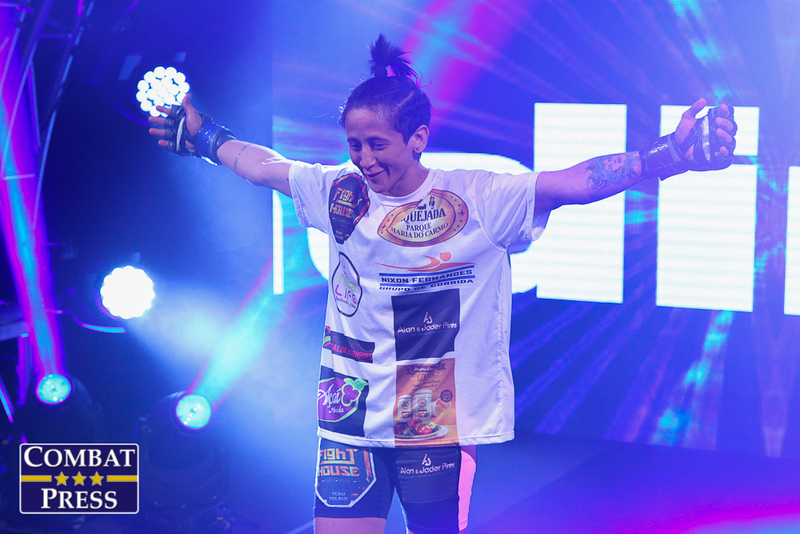 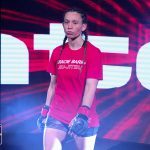 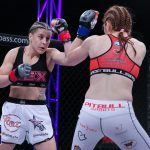 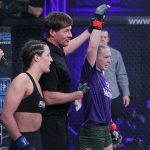 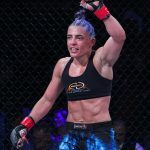 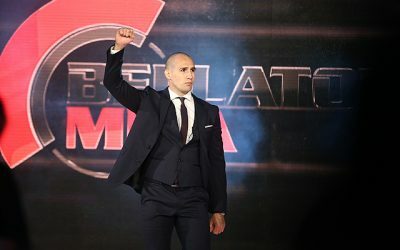 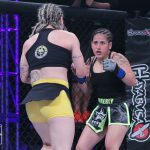 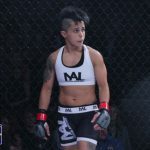 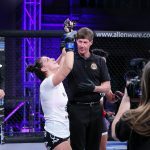 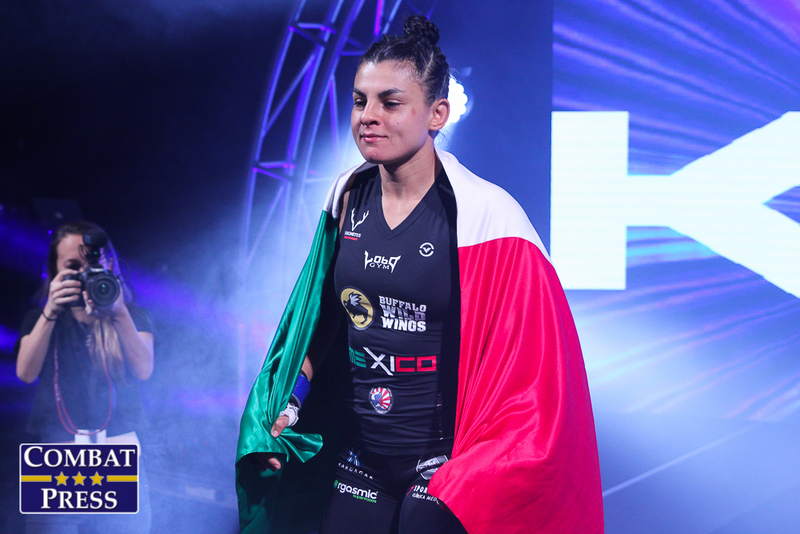 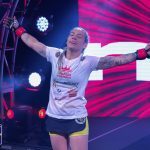 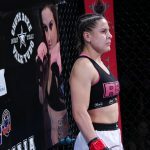 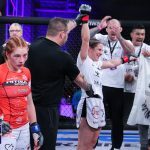 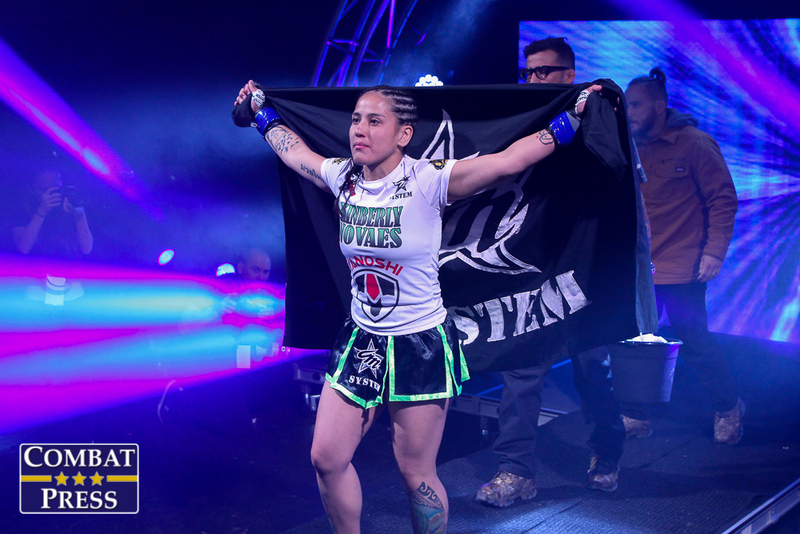 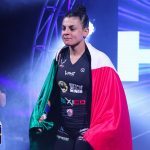 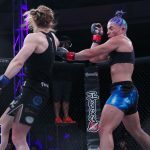 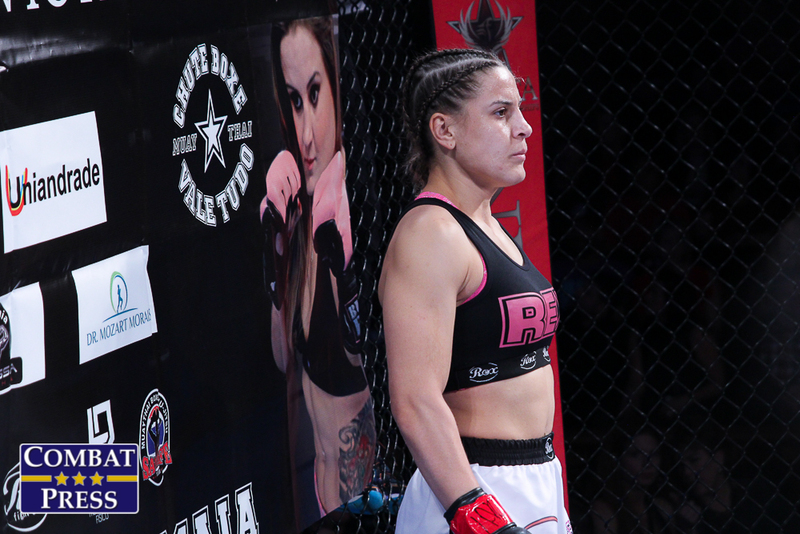 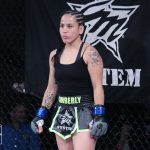 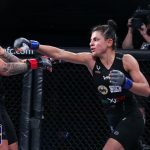 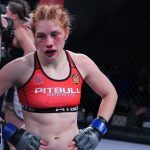 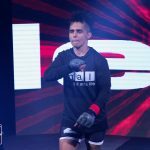 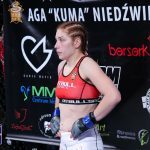 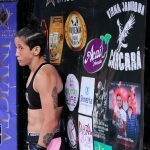 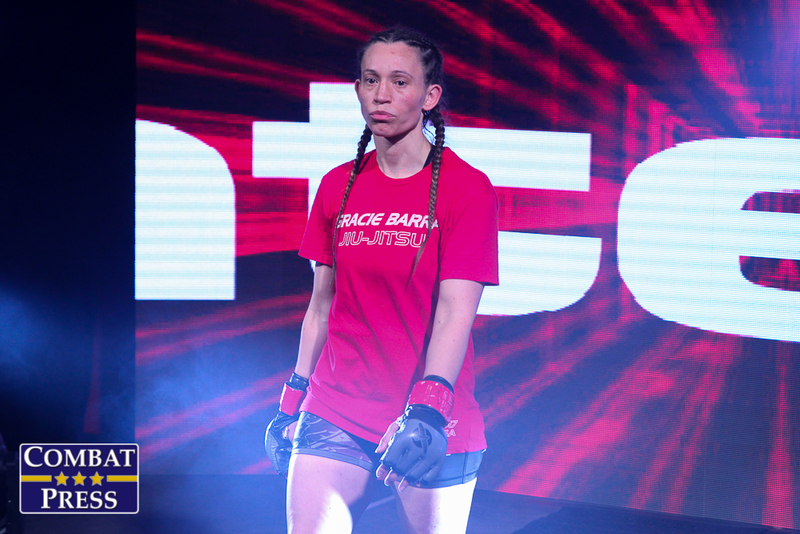 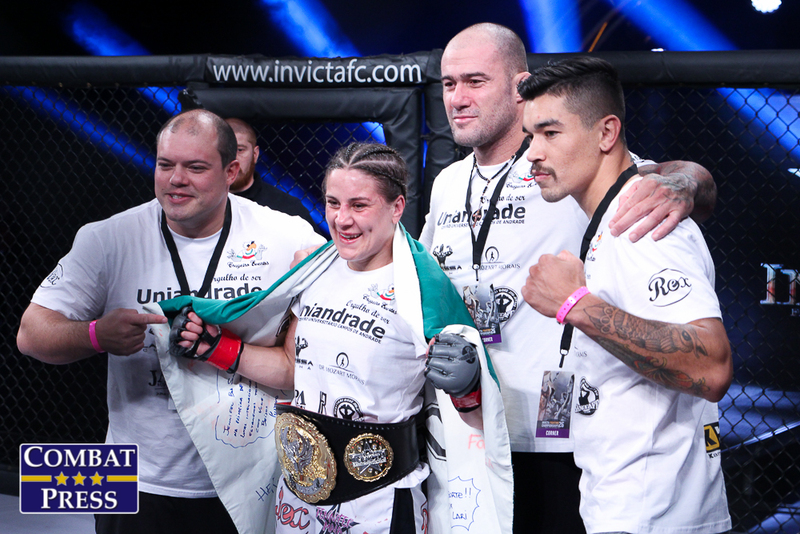 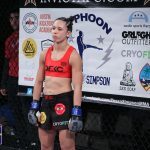 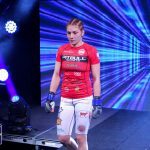 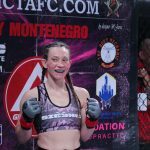 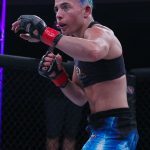 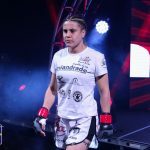 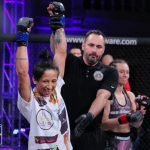 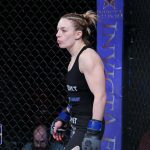 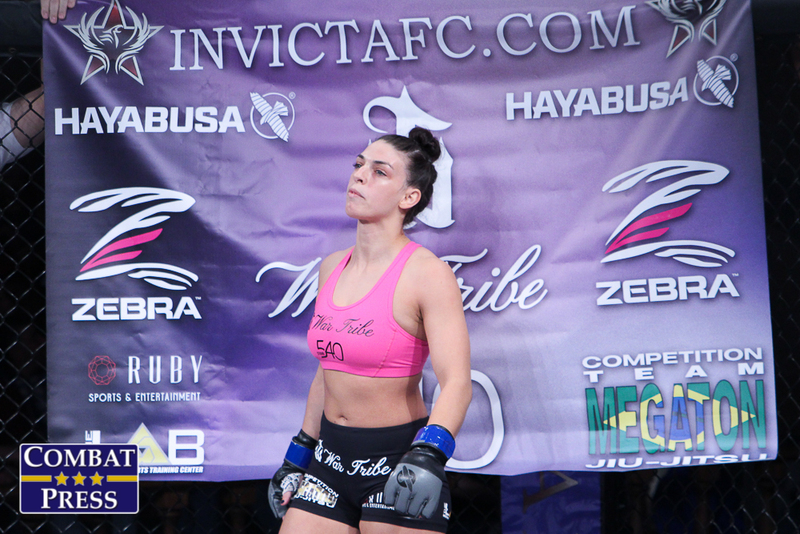 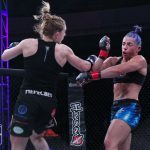 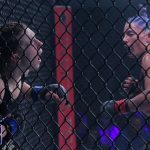 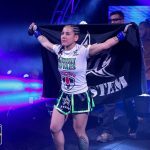 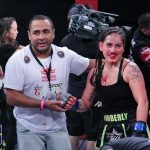 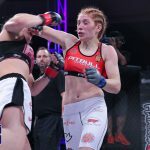 Brazil’s Maia had been out of action since successfully defending her belt against recent UFC title challenger Roxanne Modafferi at Invicta FC 19 last September. 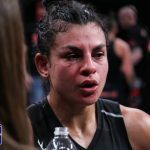 Niedźwiedź, meanwhile, had opened her career with 10 straight victories, including a decision win over Brazilian veteran Vanessa Porto in May. 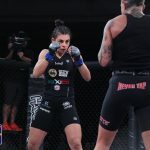 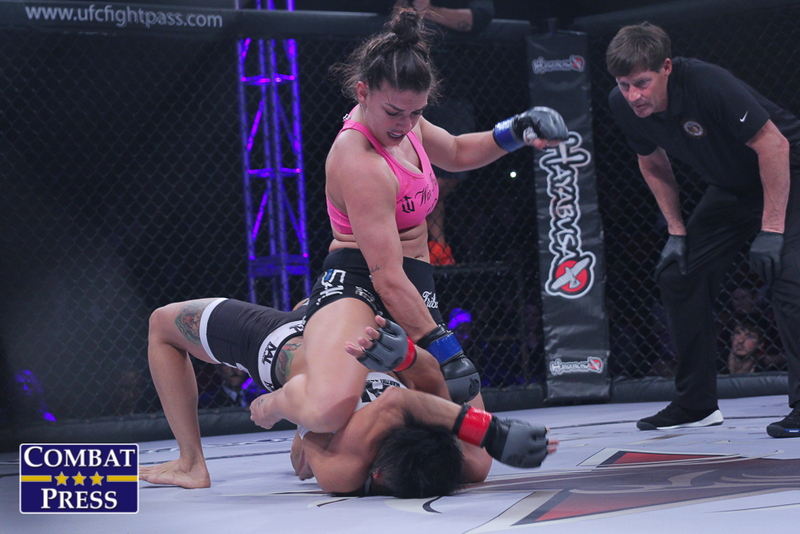 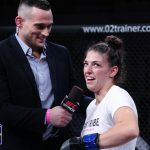 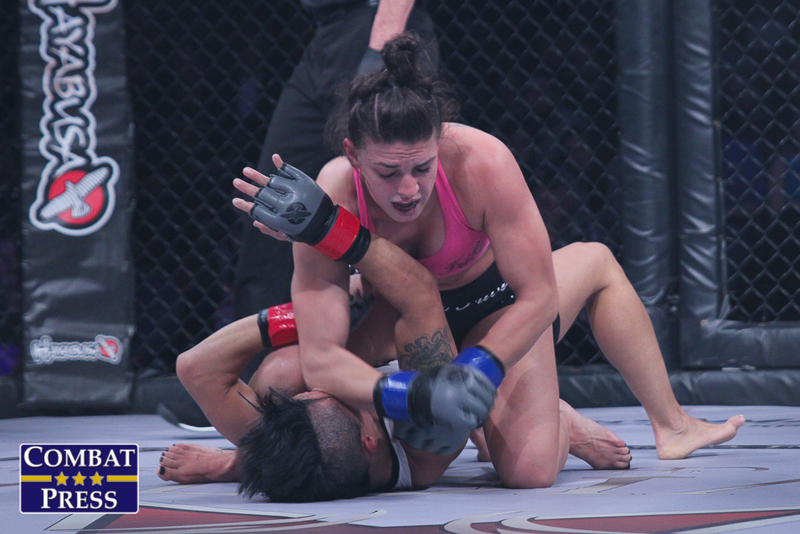 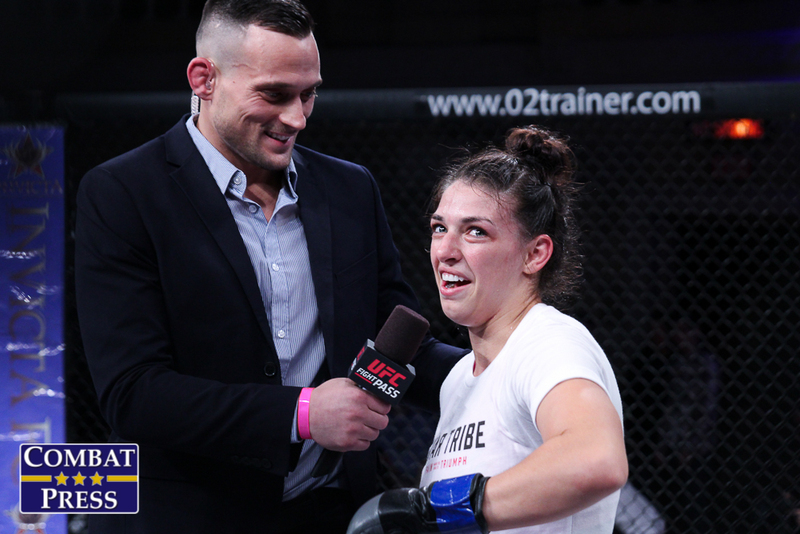 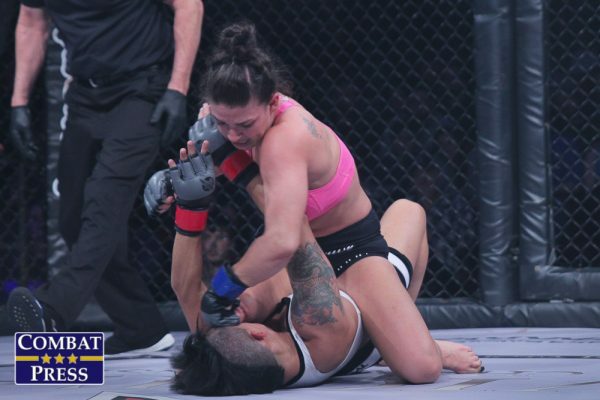 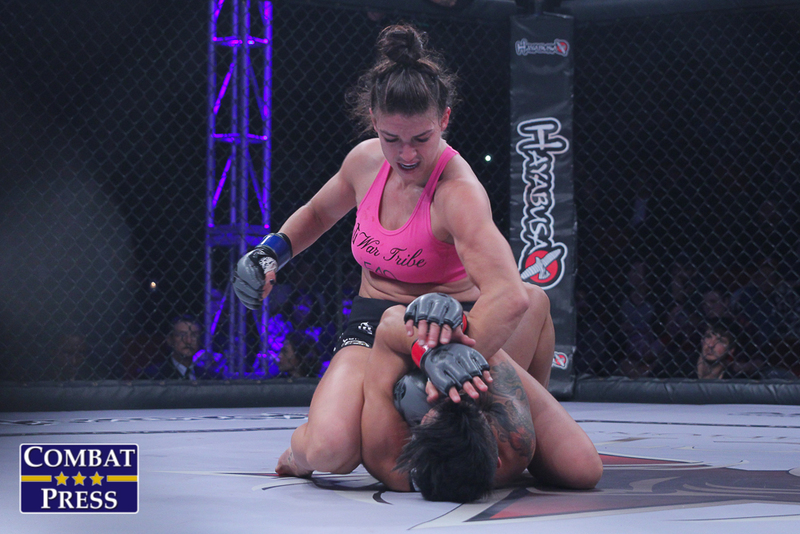 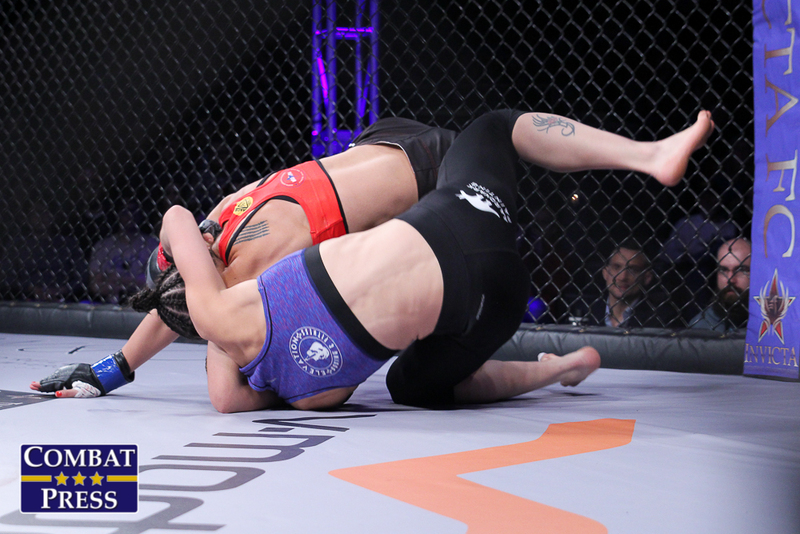 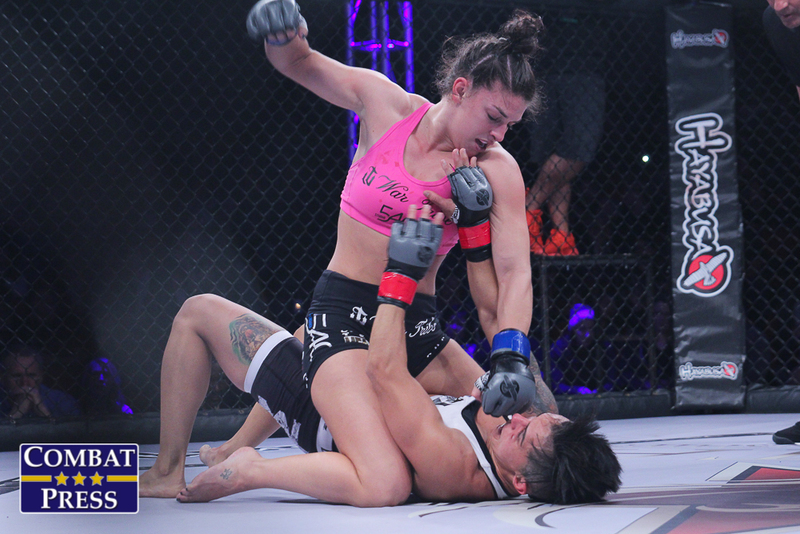 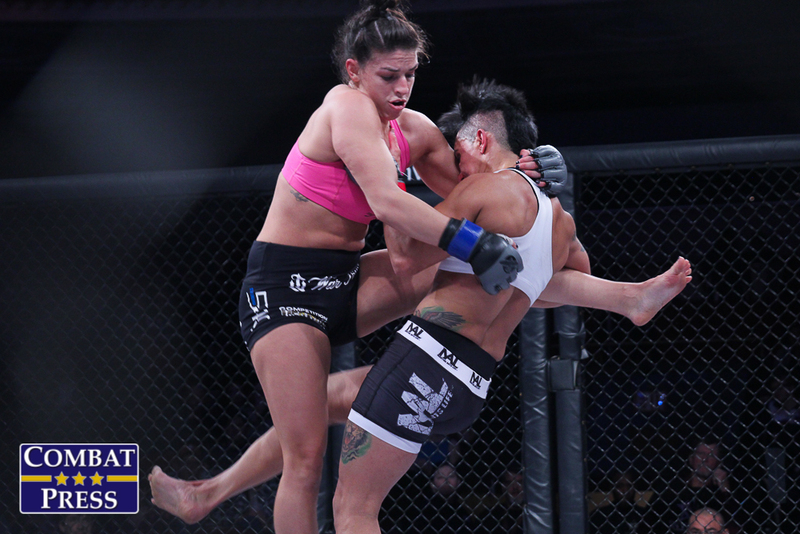 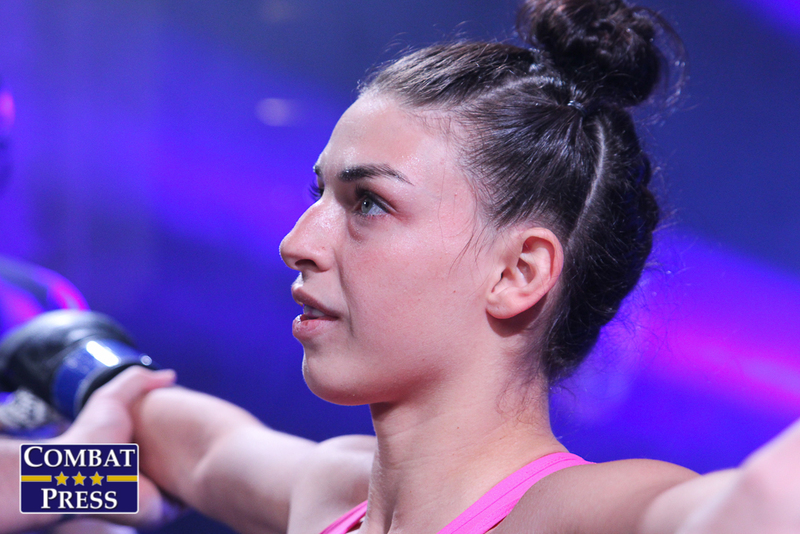 The night’s co-main event featured a strawweight match-up between former title contender Kaline Medeiros and undefeated grappling ace Mackenzie Dern. 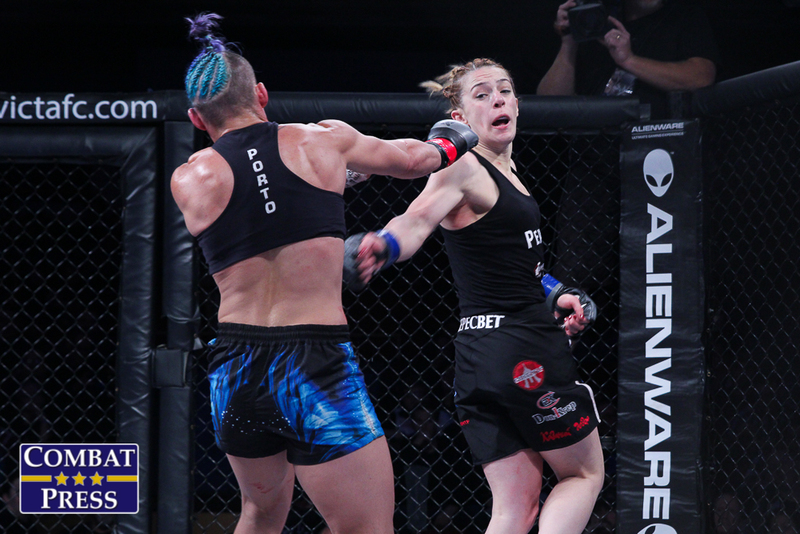 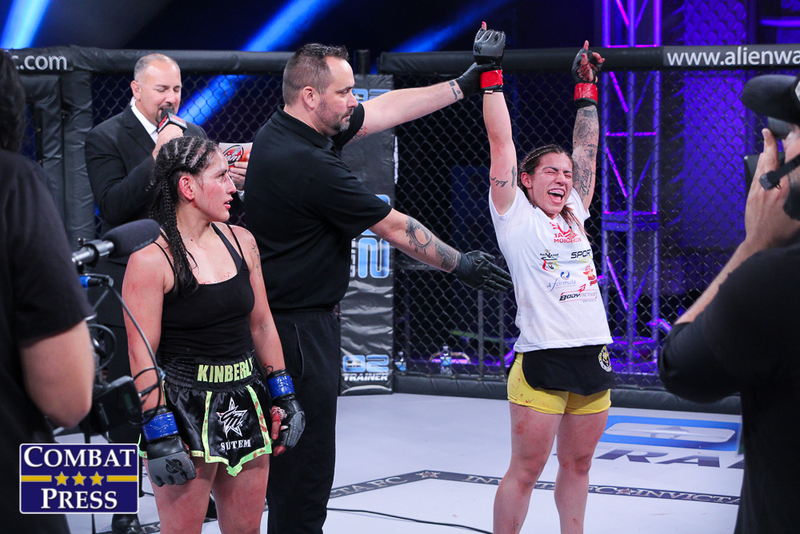 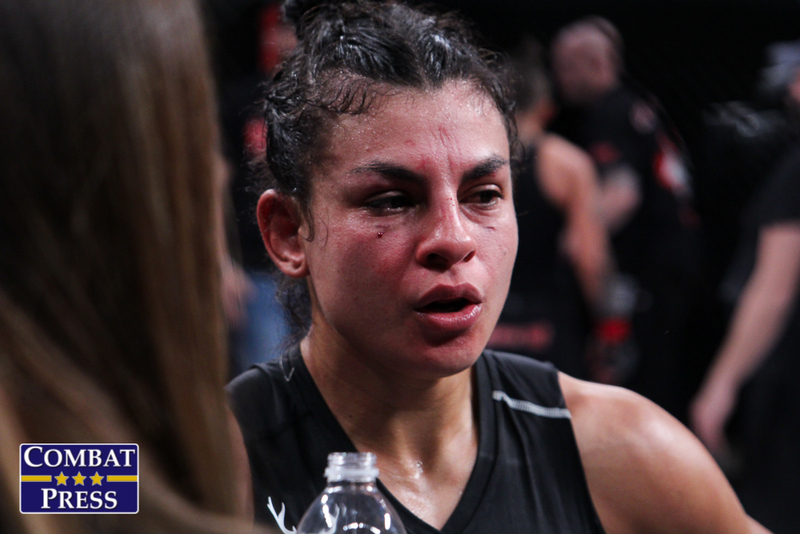 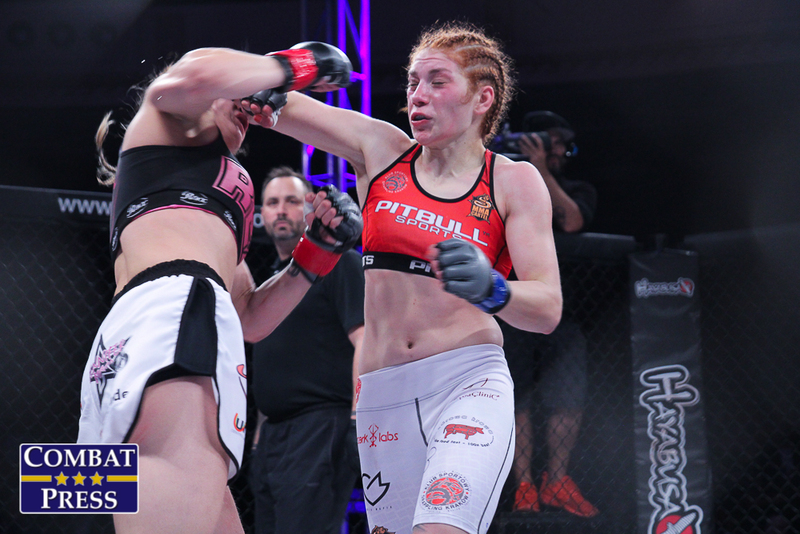 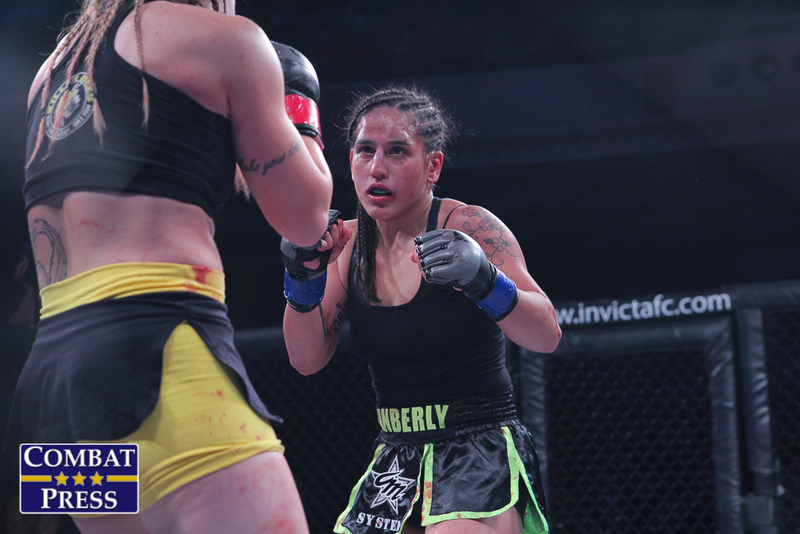 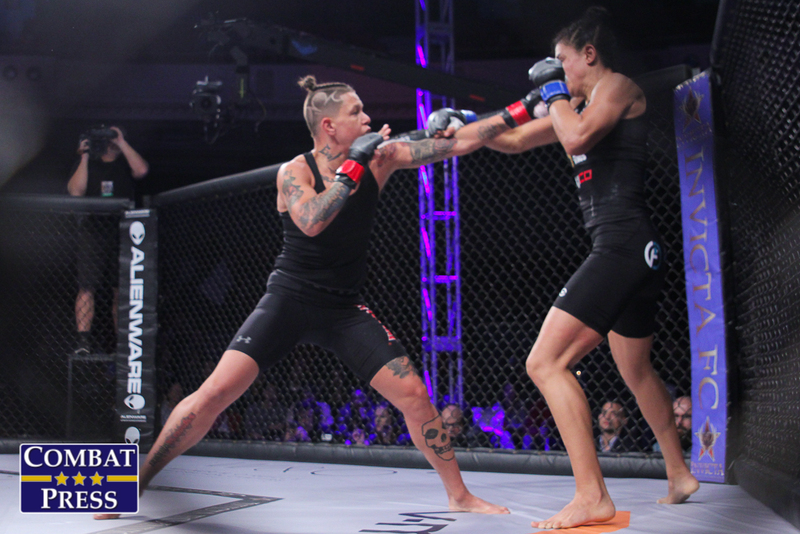 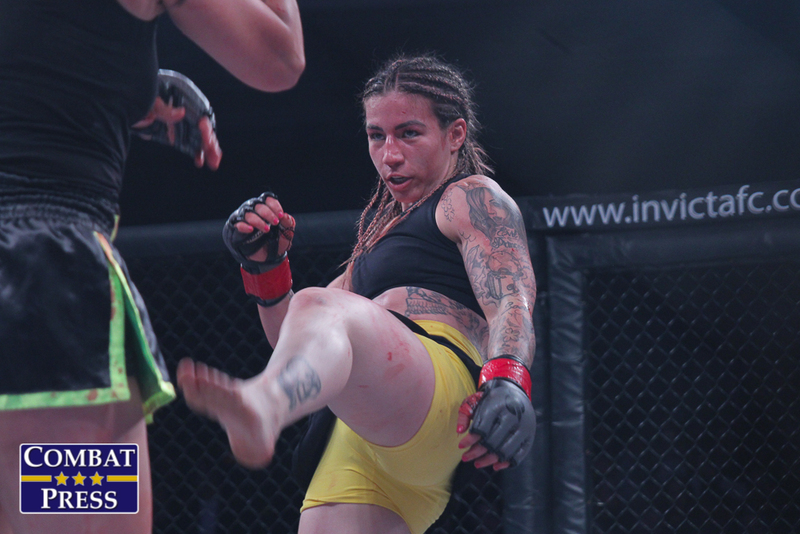 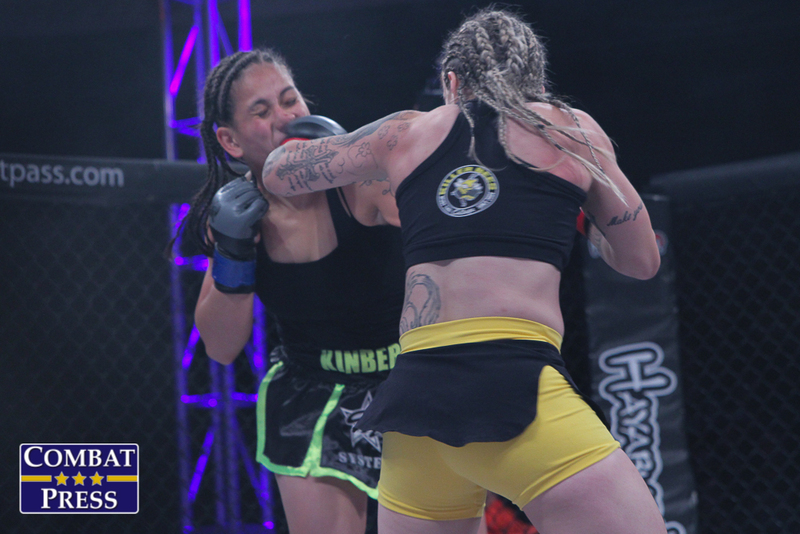 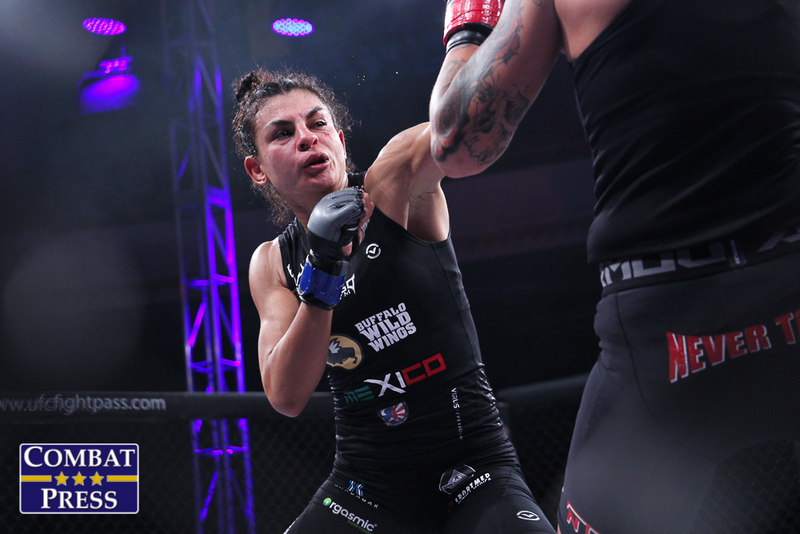 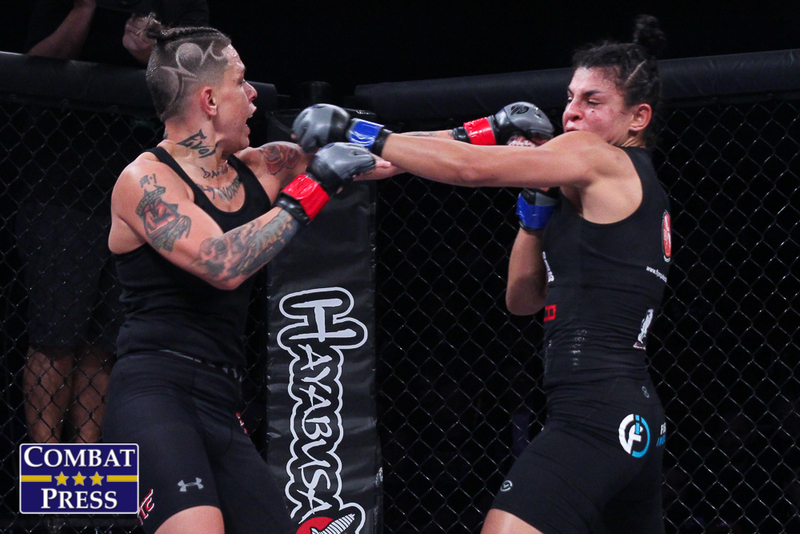 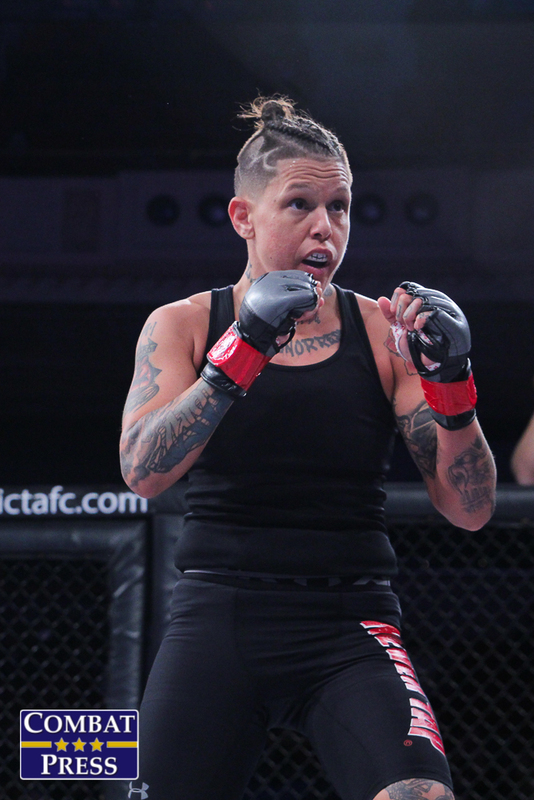 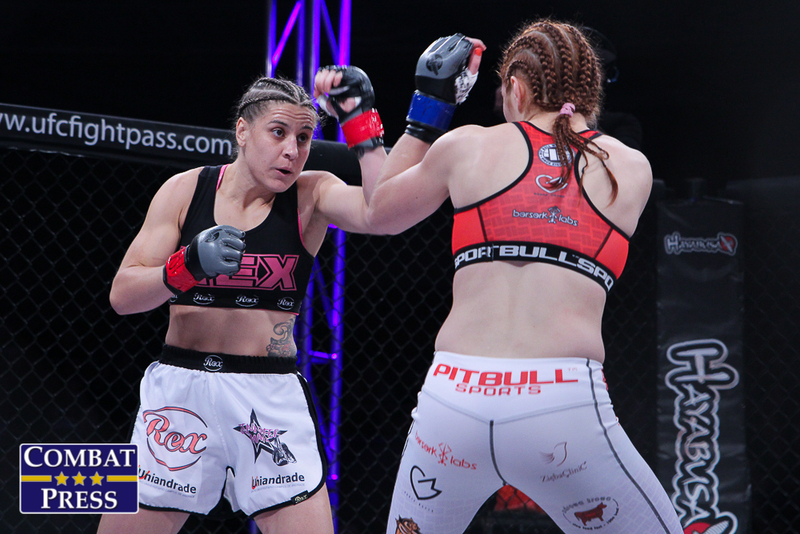 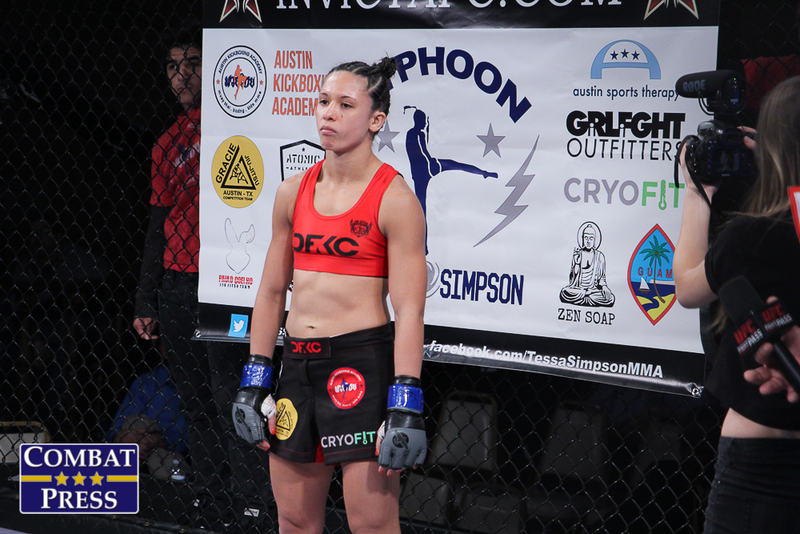 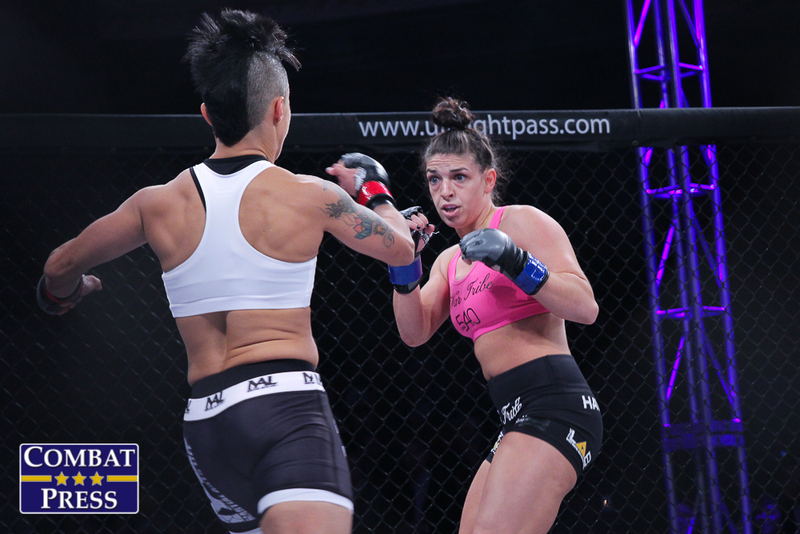 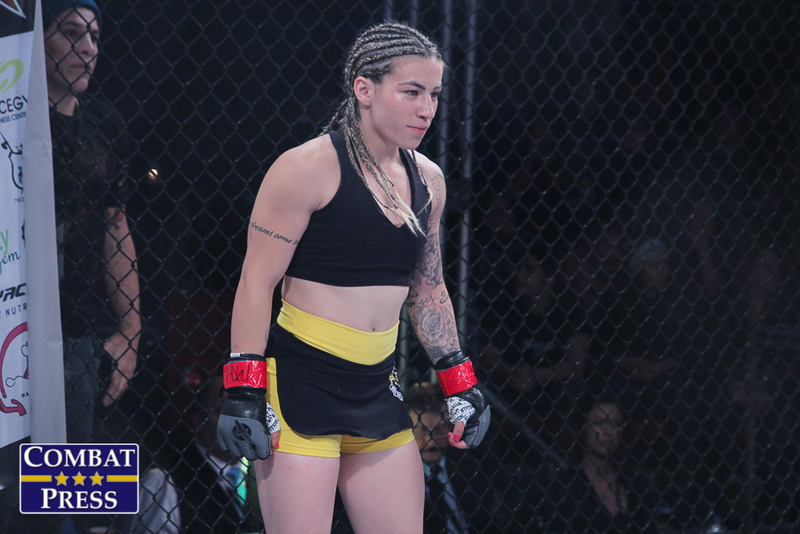 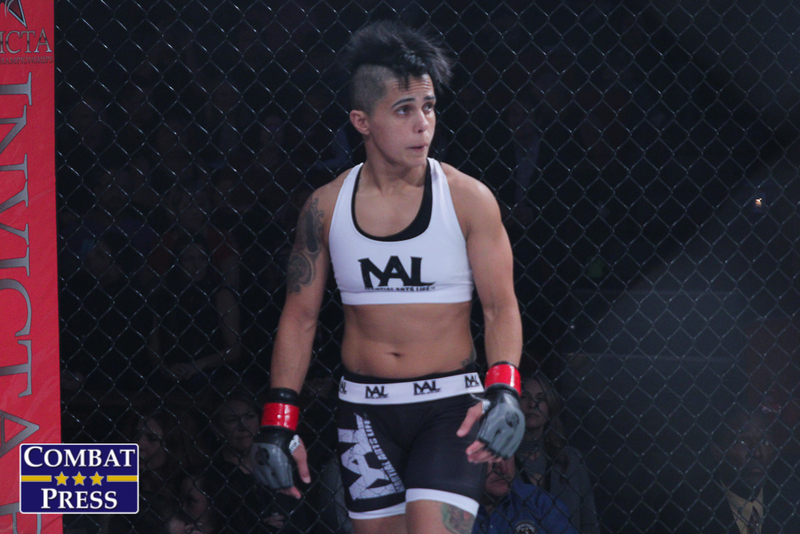 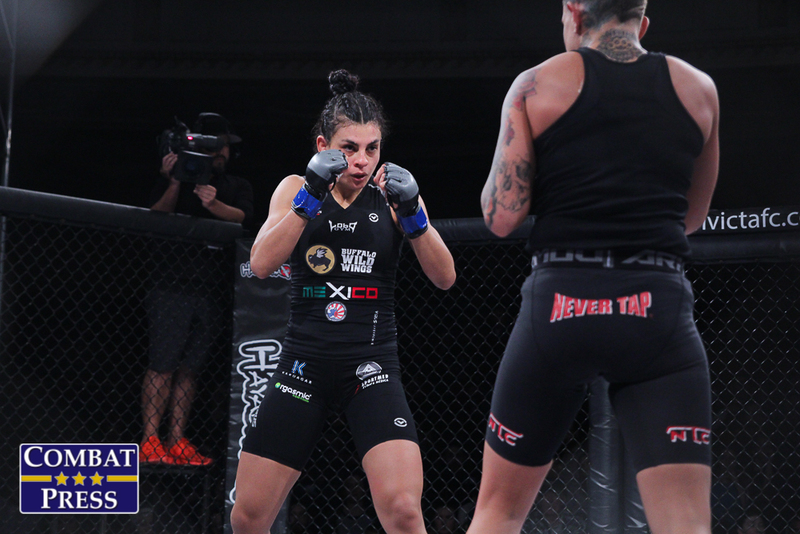 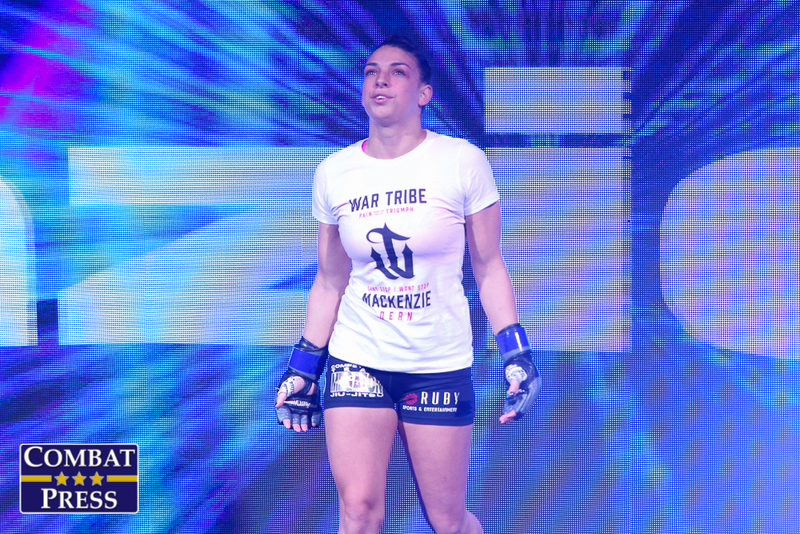 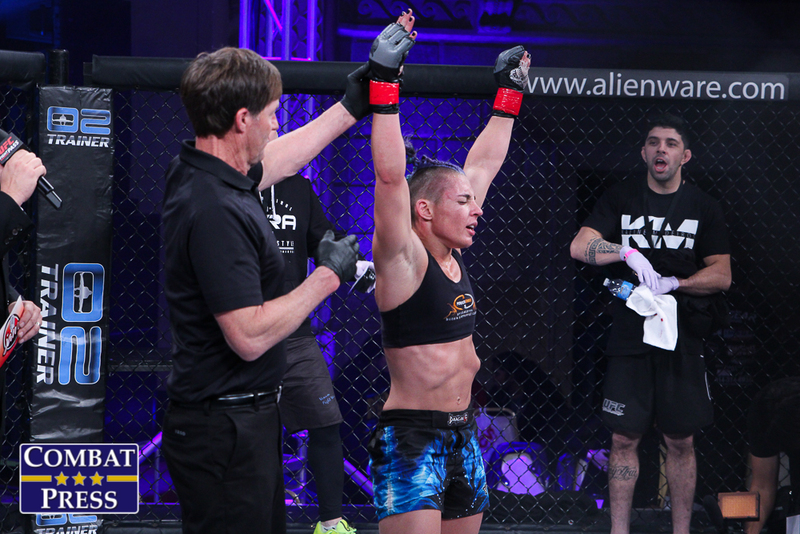 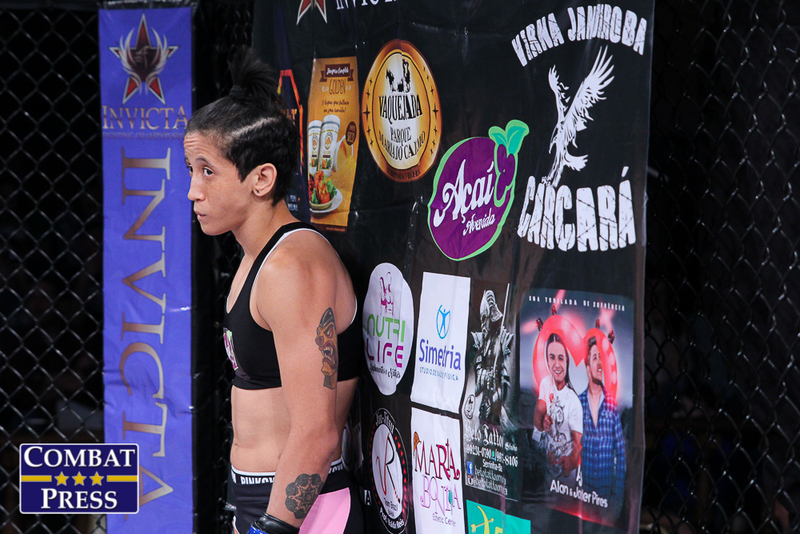 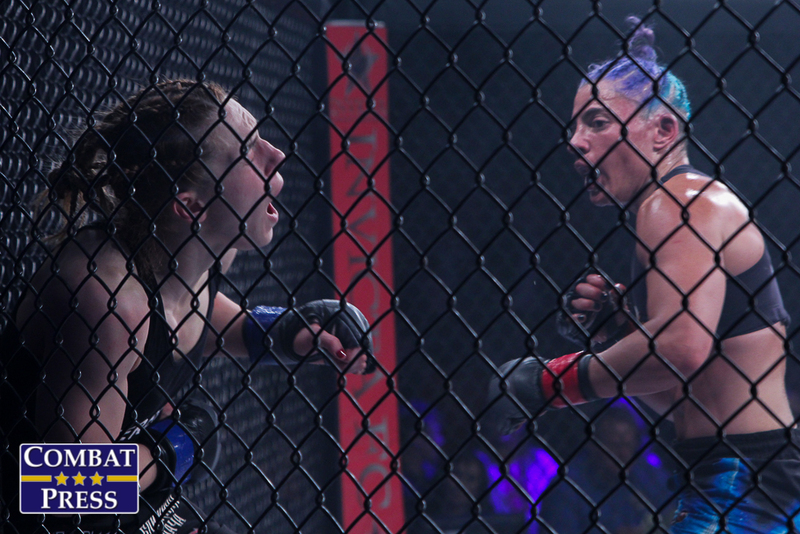 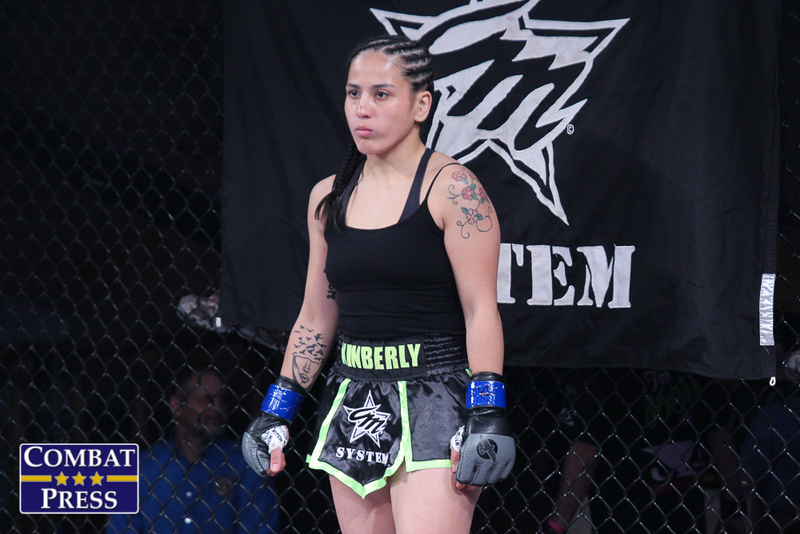 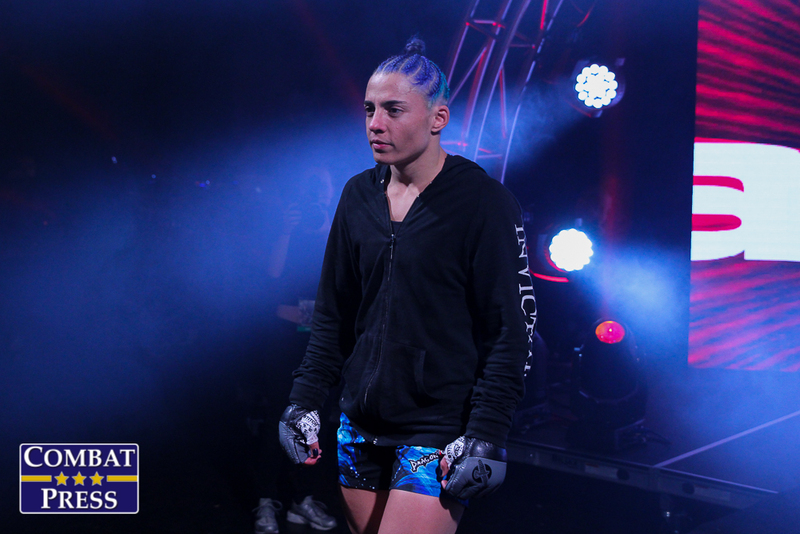 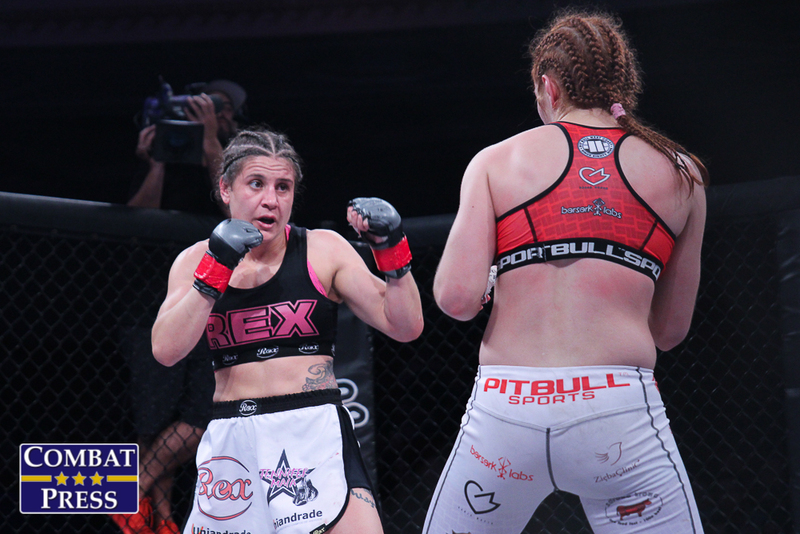 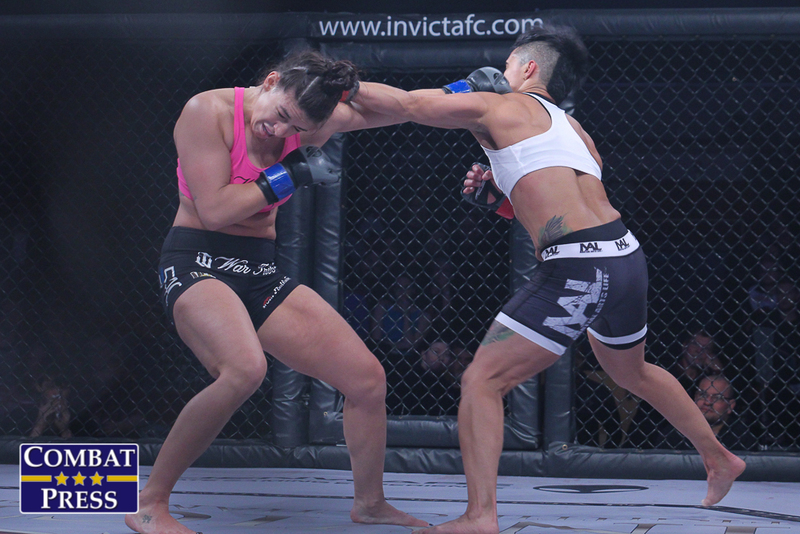 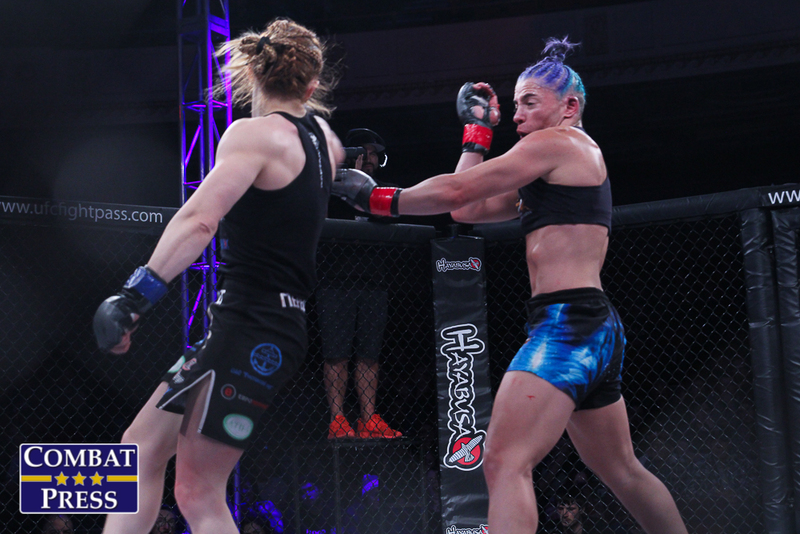 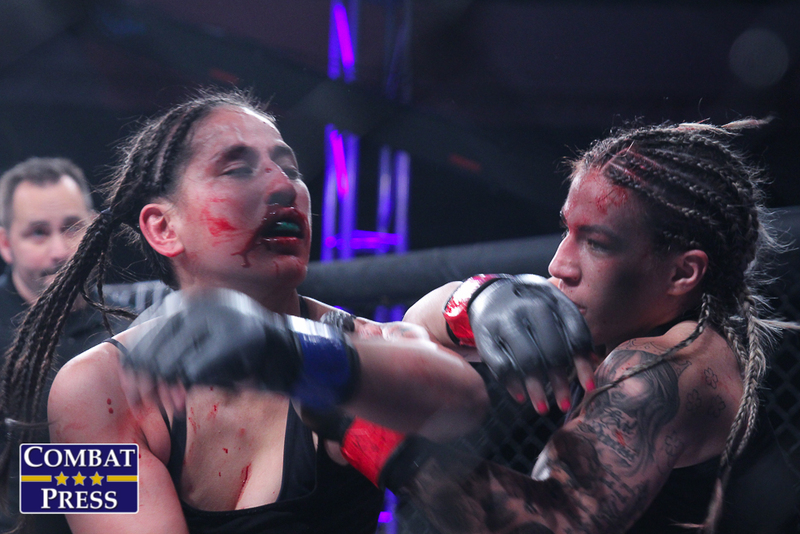 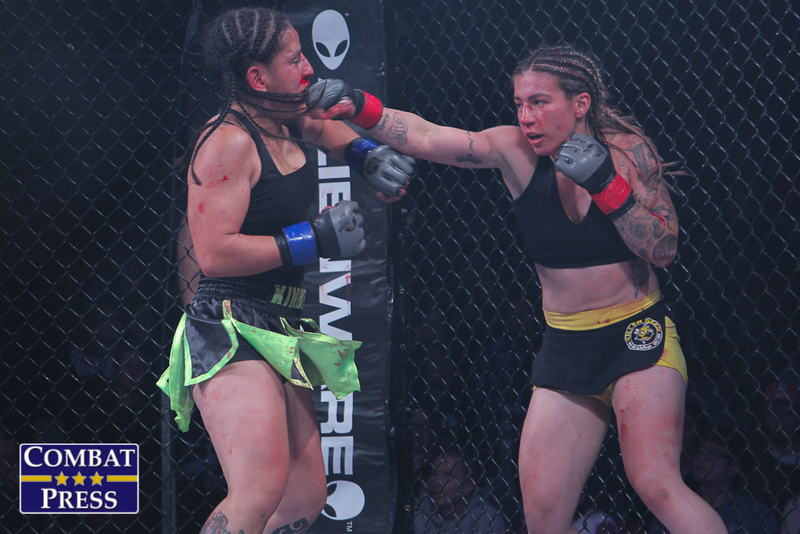 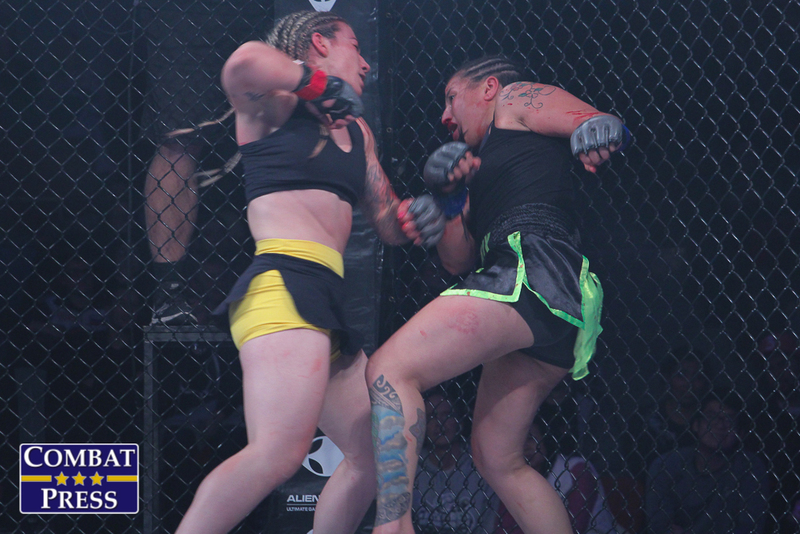 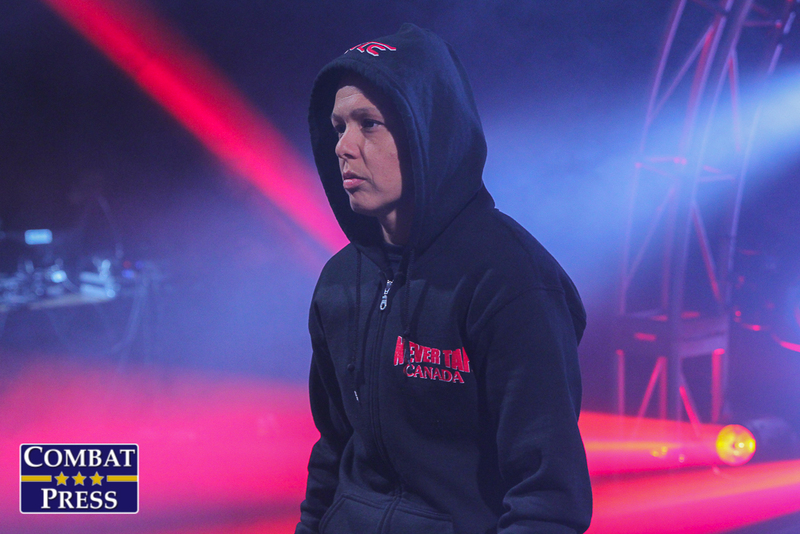 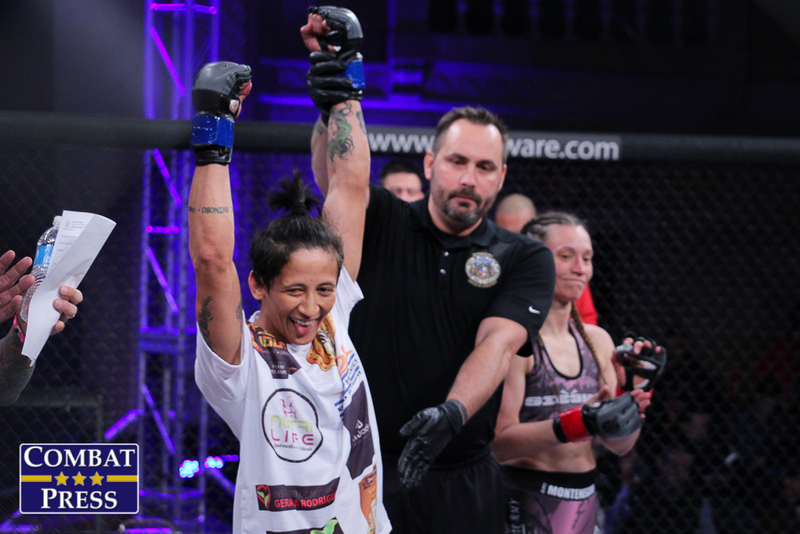 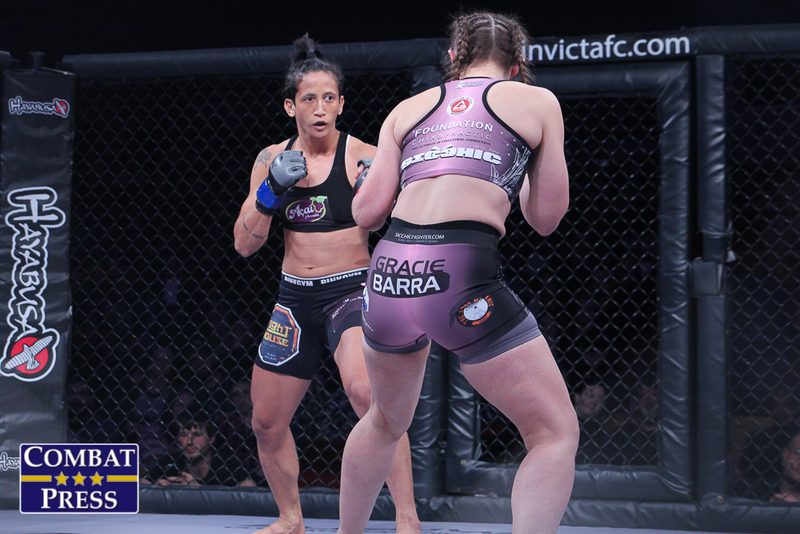 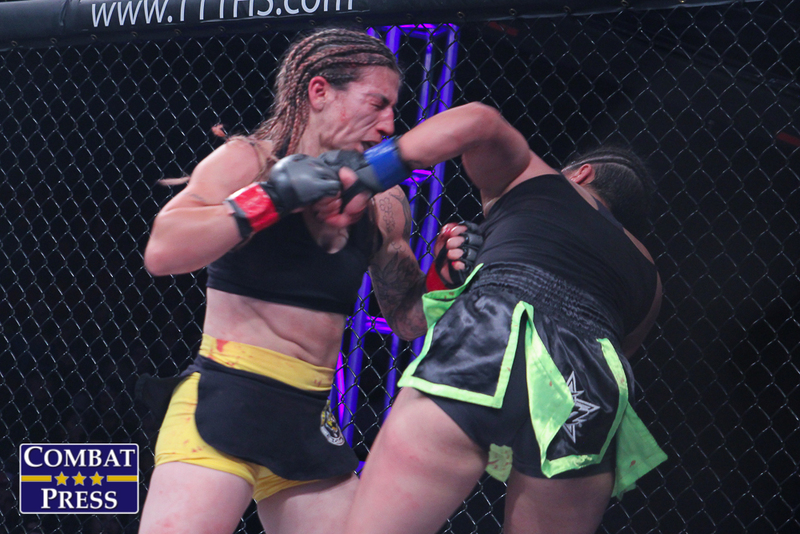 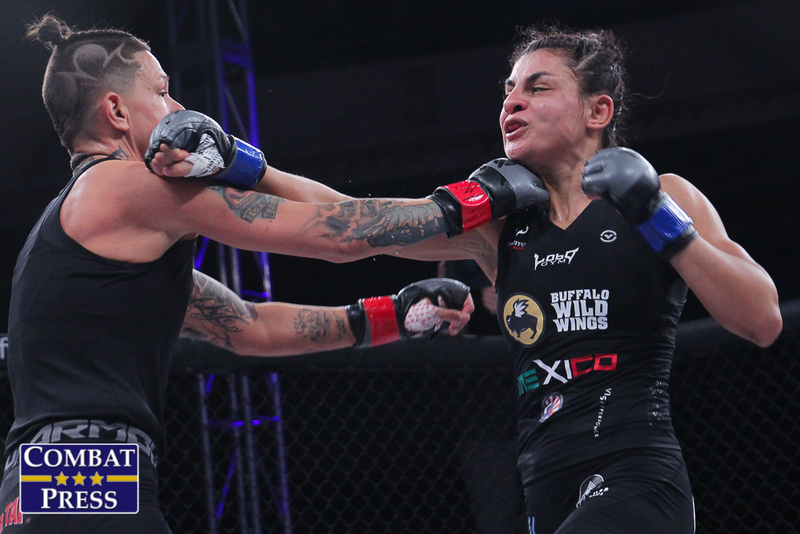 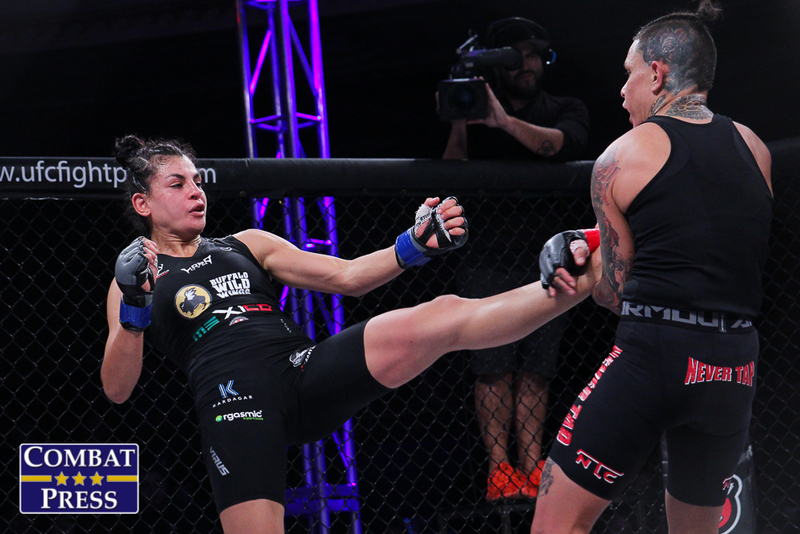 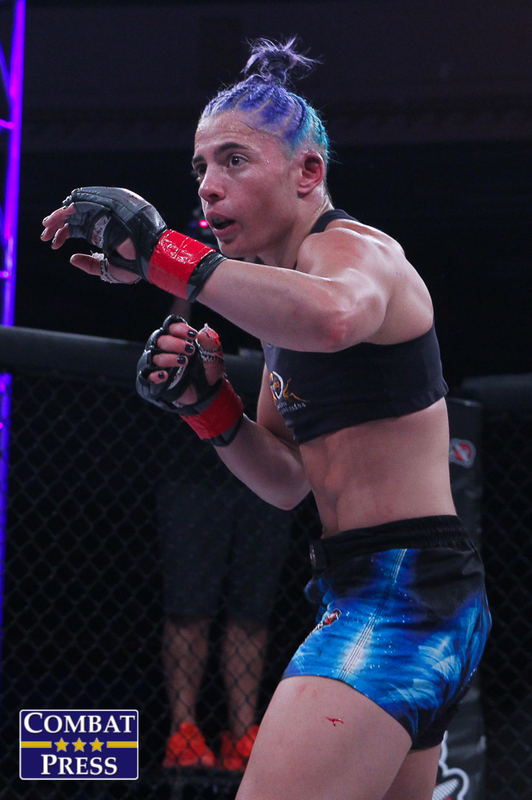 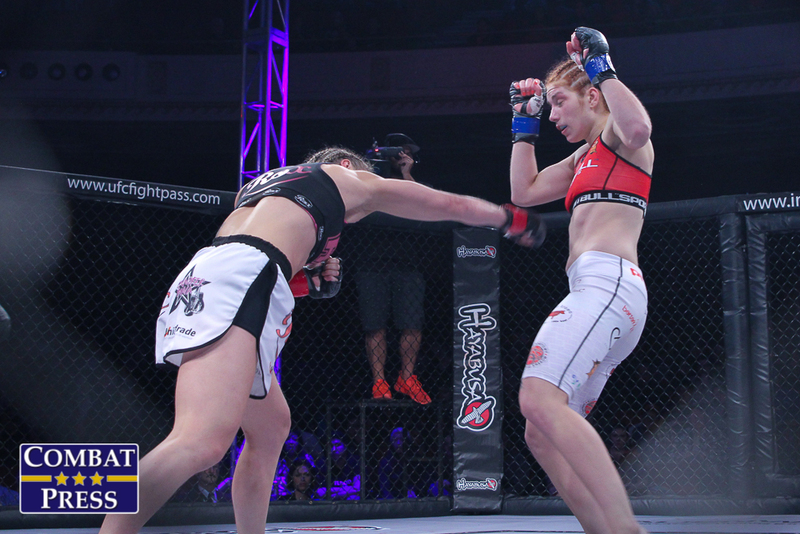 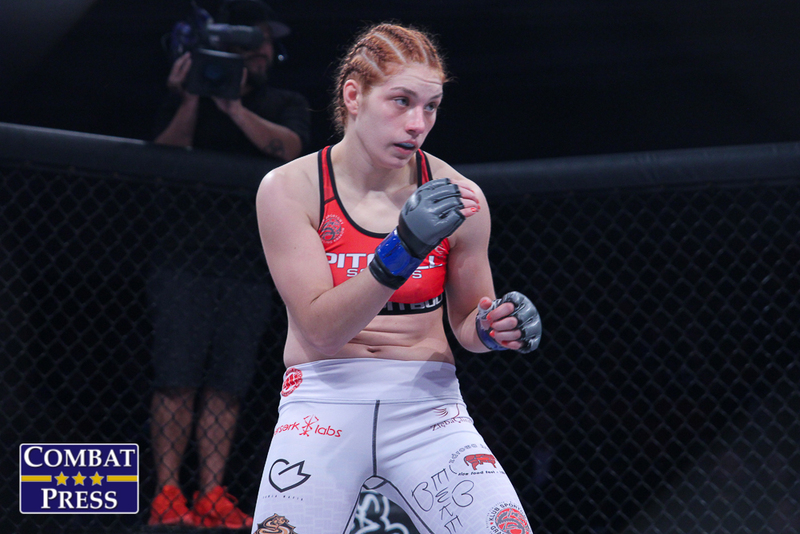 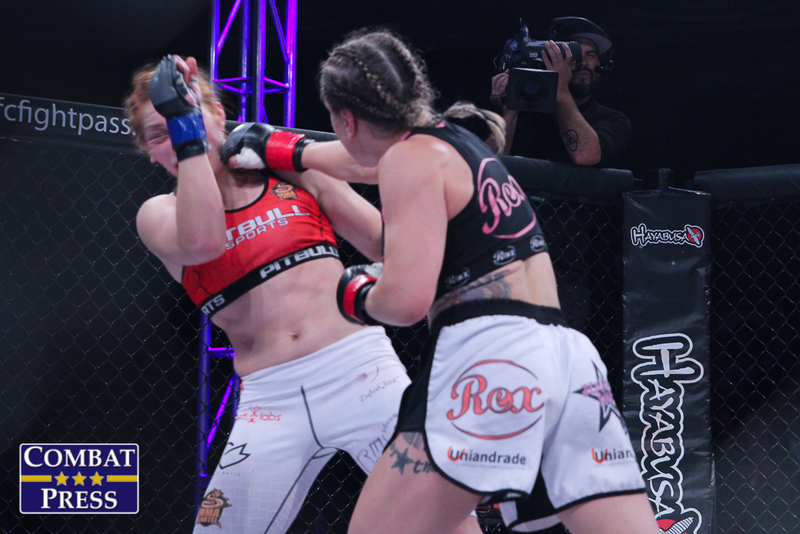 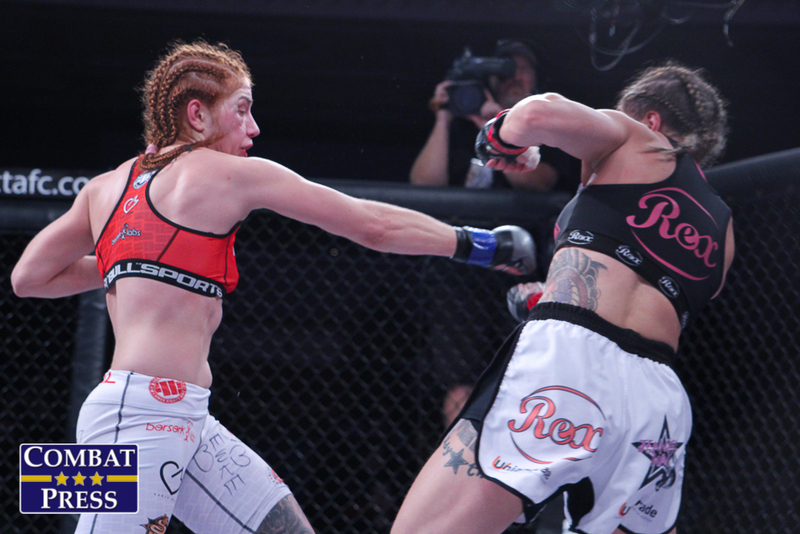 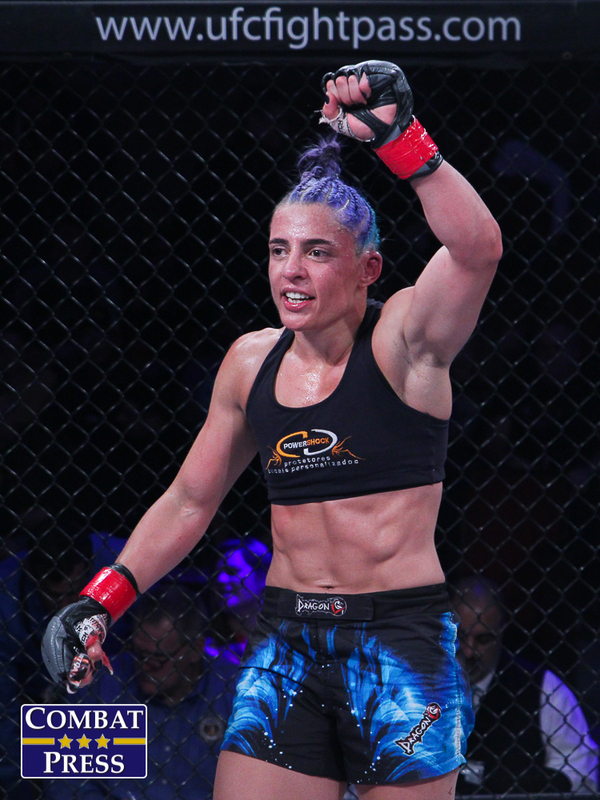 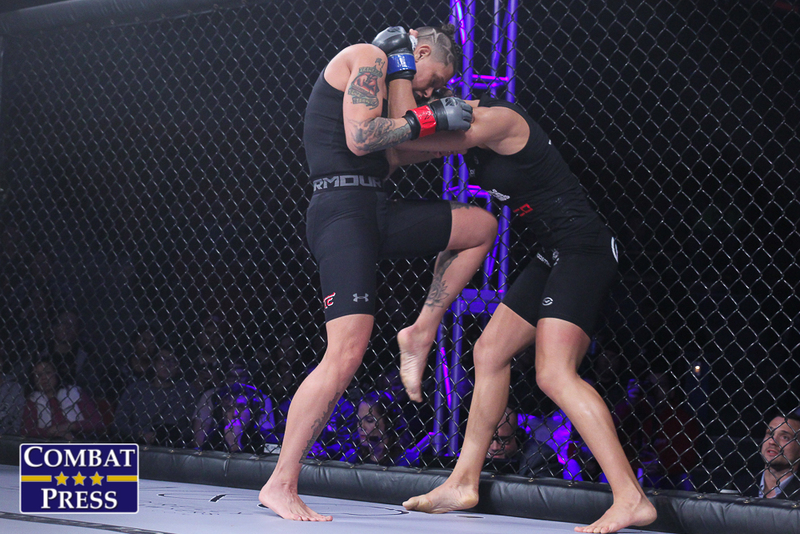 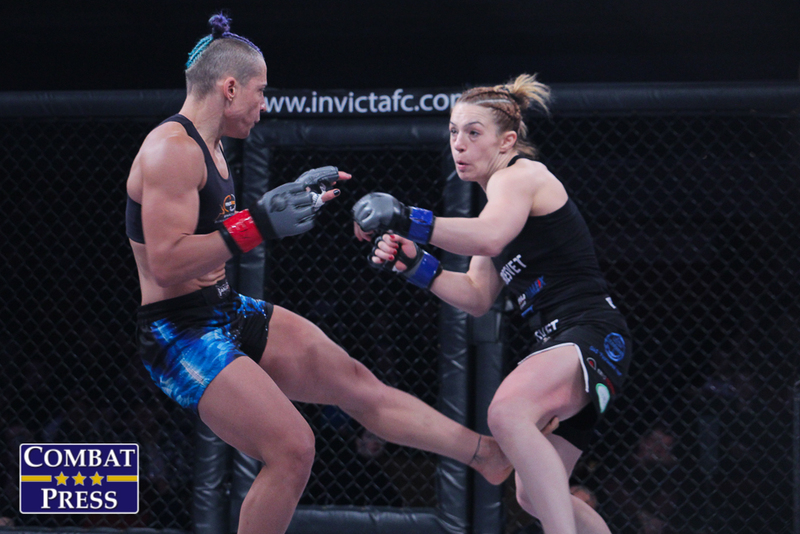 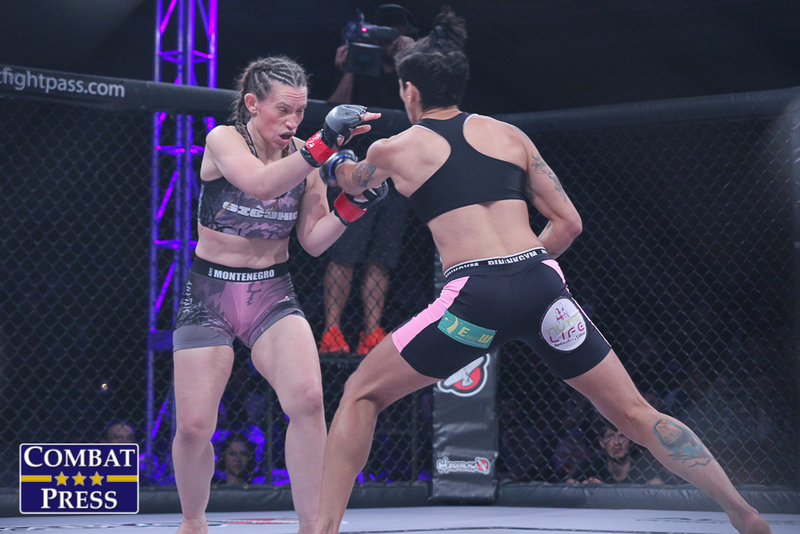 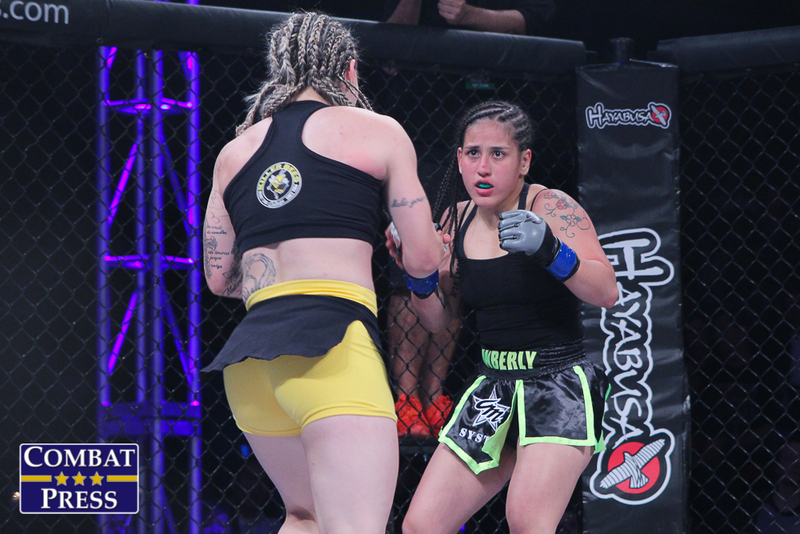 Medeiros looked to bounce back from a title defeat to then-champion Angela Hill. 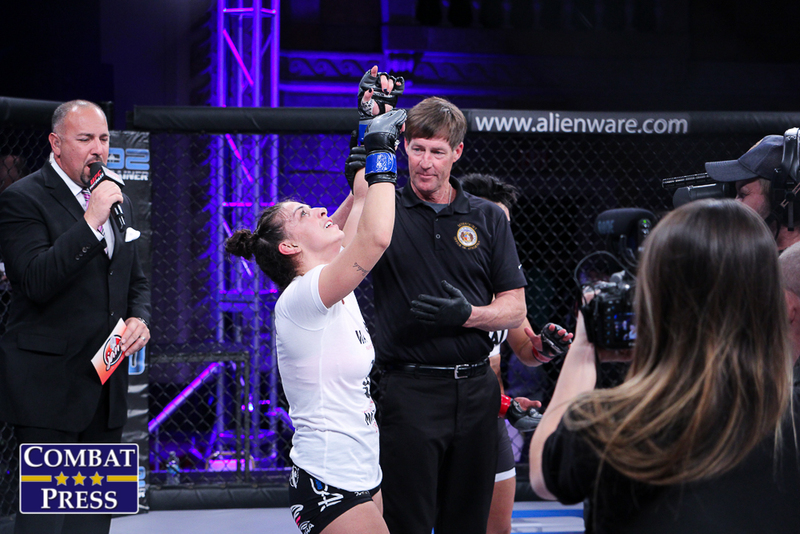 A Brazilian Jiu-Jitsu black belt, Arizona’s Dern had opened her career with four straight wins, including two via submission. 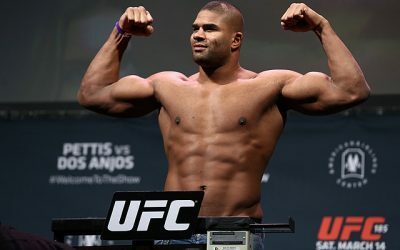 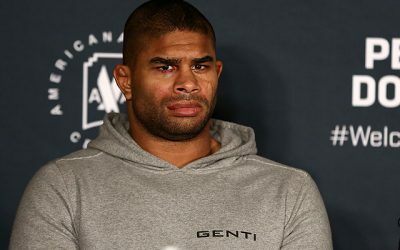 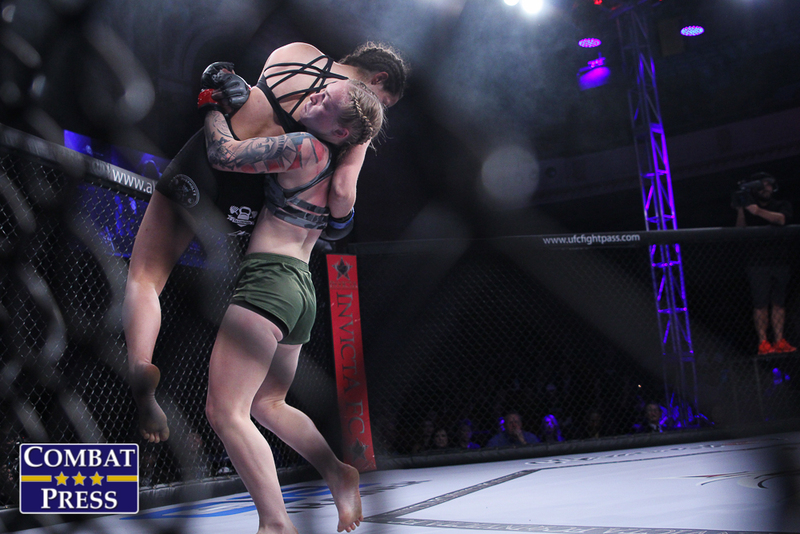 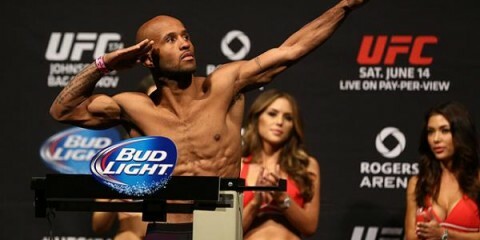 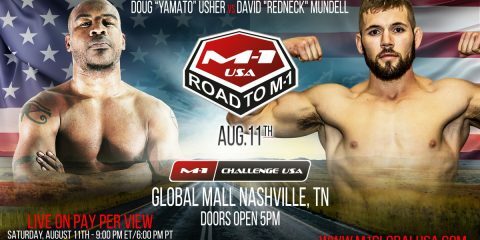 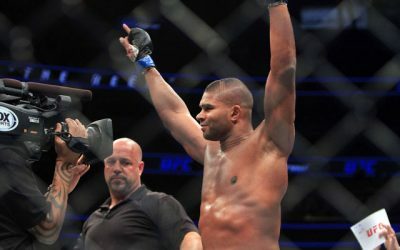 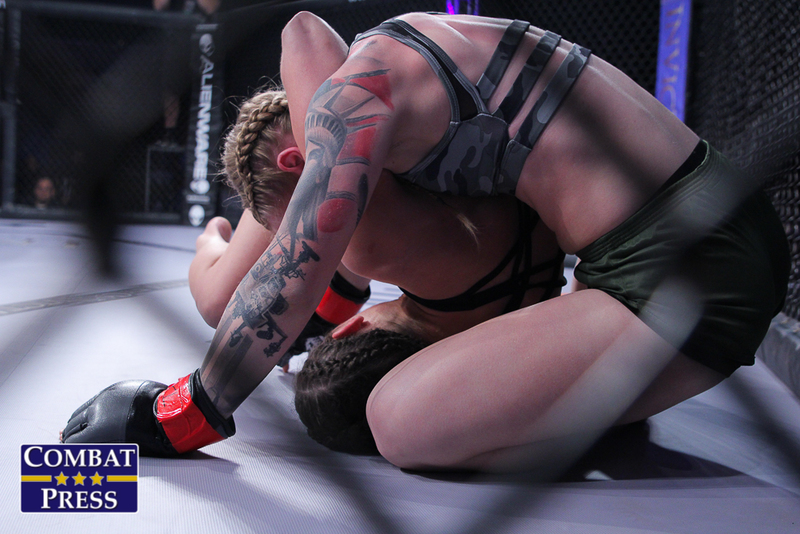 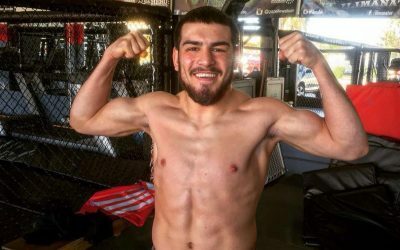 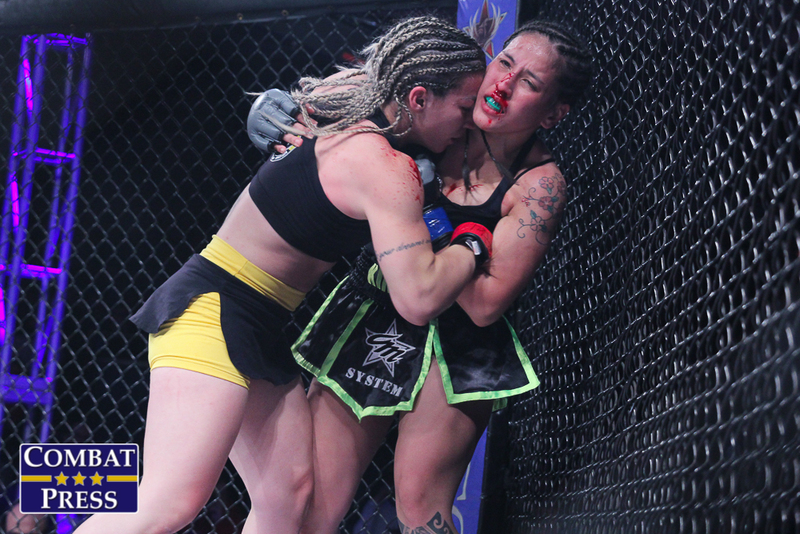 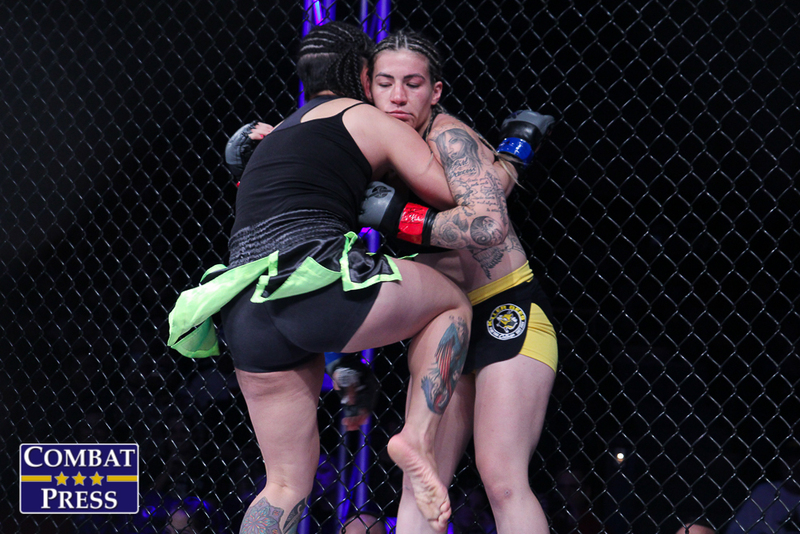 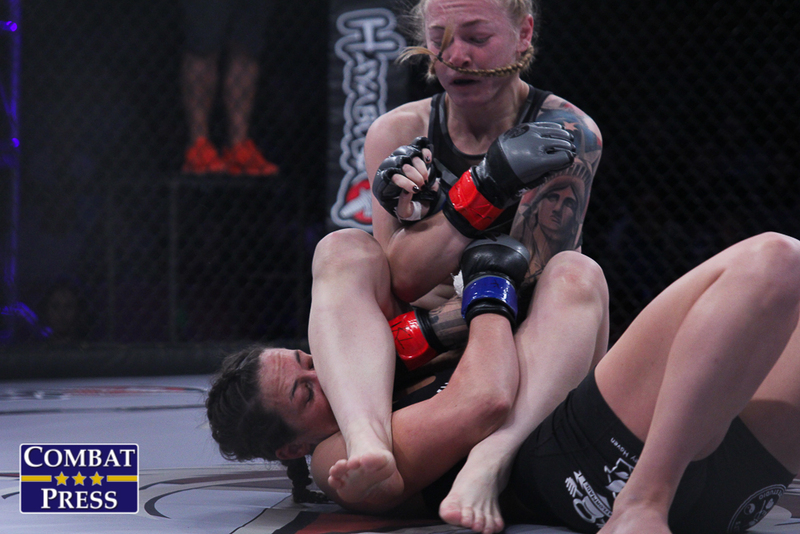 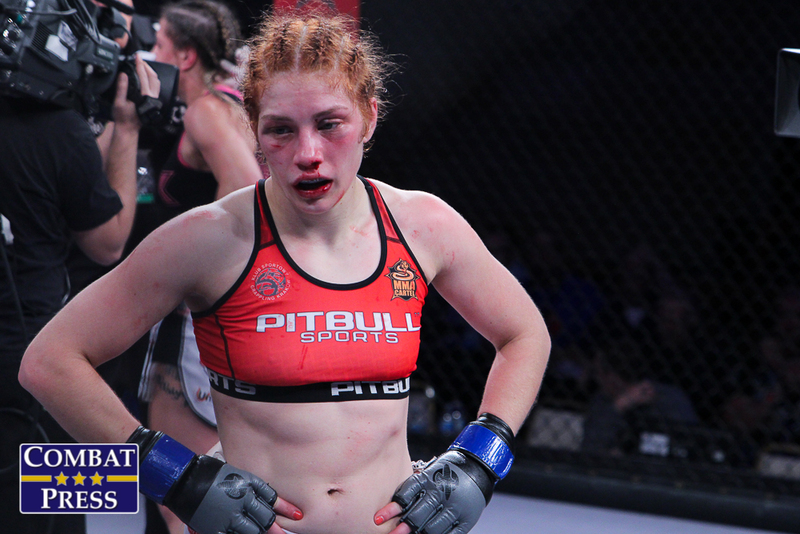 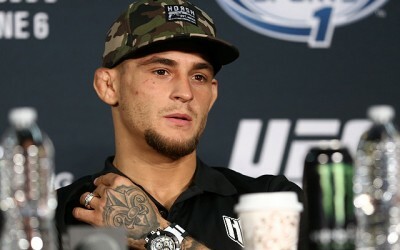 Below is a photo gallery of the action, shot by Jeff Vulgamore for Combat Press. 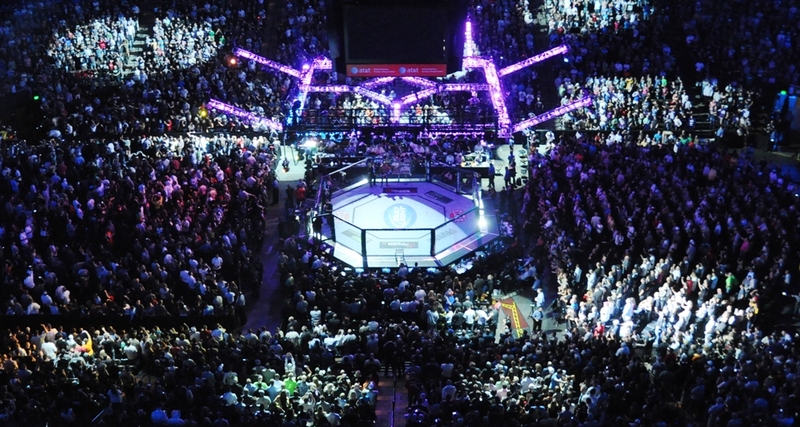 Click an image for a larger version. 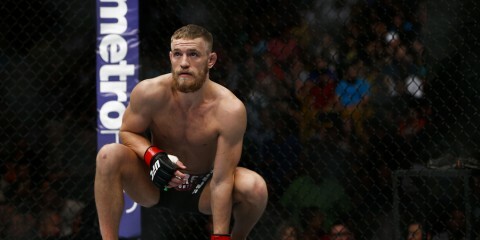 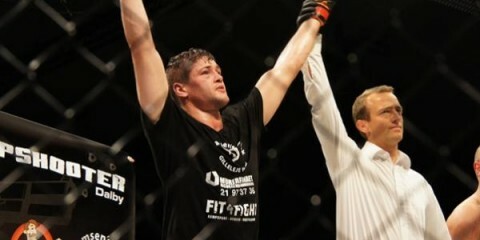 Brian Ortega: The UFC’s Next Superstar?